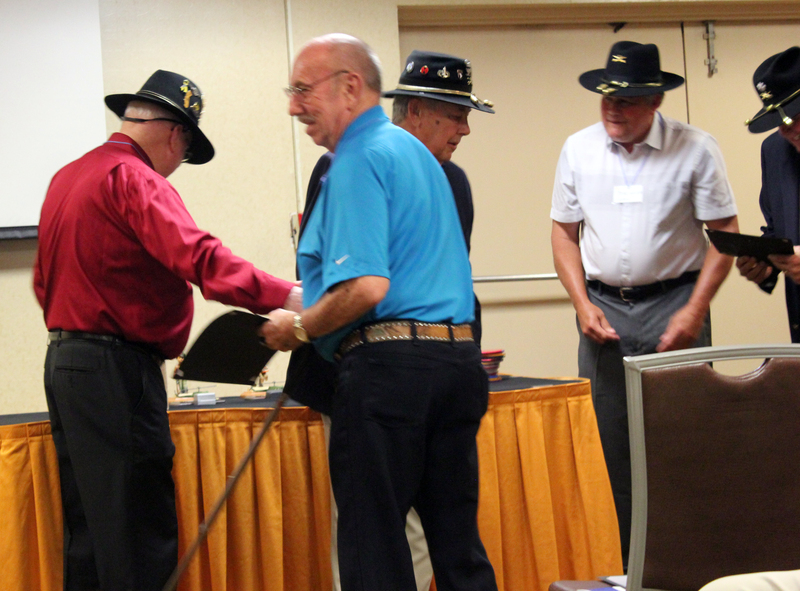 A special 50th Anniversary Reunion was held in Columbus, Georgia June 30 through July 2, 2015. 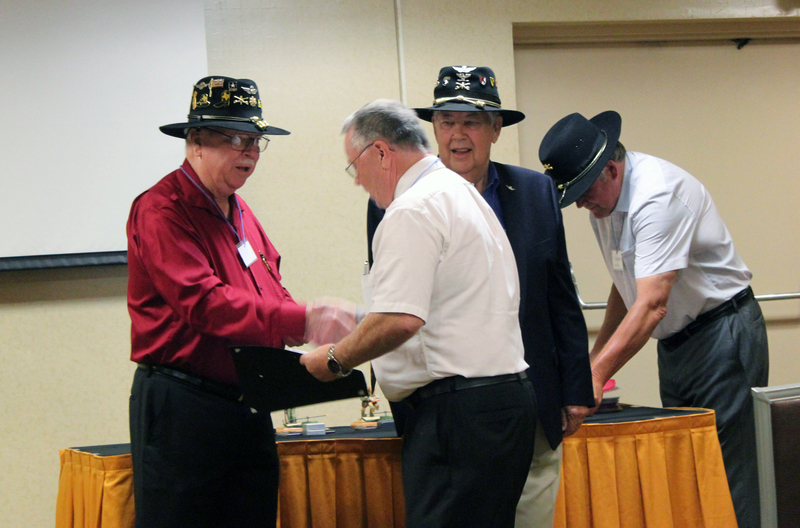 This was a reunion whose main intention was to Honor the Men of Charlie Troop, Headquarters and Headquarters Troop, Alpha Troop, Bravo Troop and Delta Troop who left Columbus, Georgia in August of 1965 to go to Vietnam. 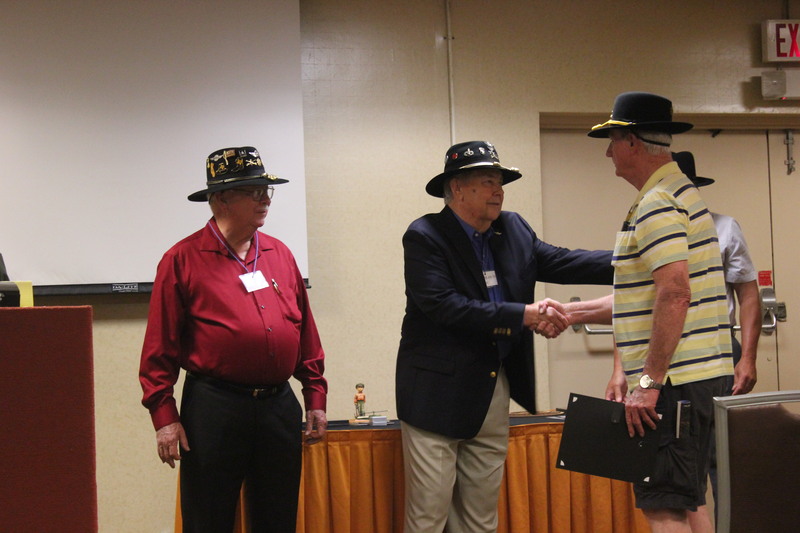 The reunion was held at the Holiday Inn North with Ceremonies conducted at the Hotel, National Infantry Museum and at Doughboy Stadium. ** First reunion. First time seeing their fellow Troopers in 49 years. A Total of 73 Troopers were in attendance with most bringing their wives and some who also brought other family members. Now, let’s begin with the Meet and Greet. 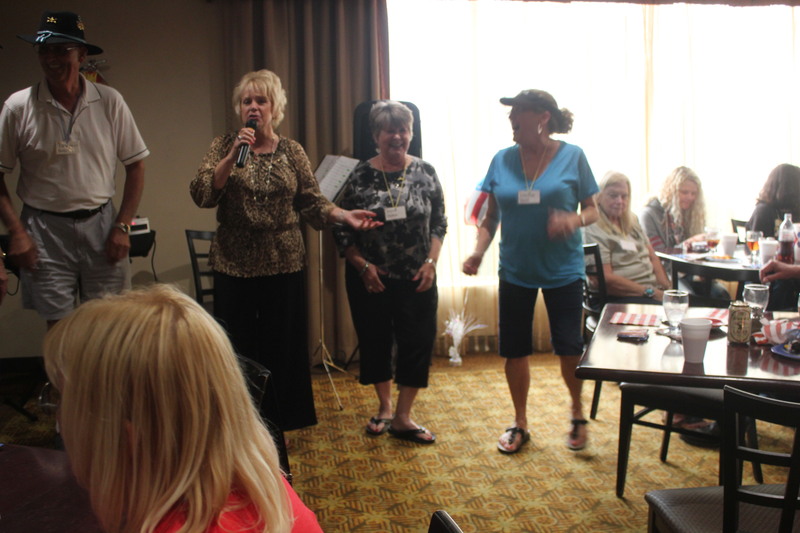 The Meet and Greet was held on June 30, 2015 in the restaurant of the Holiday Inn North. 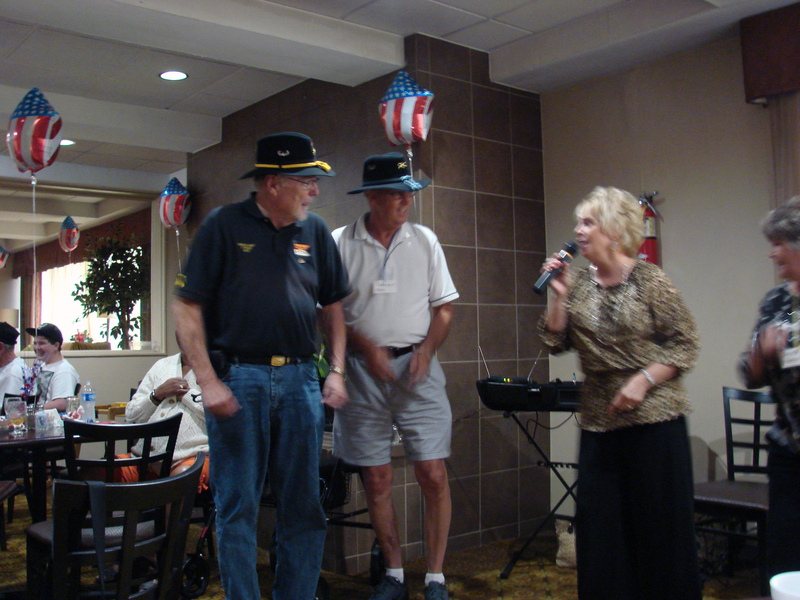 We were honored to have Miss Jennifer Duncan, a local Celebrity to sing for us. Jennifer sang the songs of the mid sixties. Prior to her singing the song “These Boots are Made for Walking” I asked Gordon Jones and Tommy Betts to come up front by Jennifer. Gordon had driven Miss Nancy Sinatra around for 3 days in Vietnam and the song is Tommy’s all time favorite. Jennifer than asked three ladies to come up and help her sing the song. 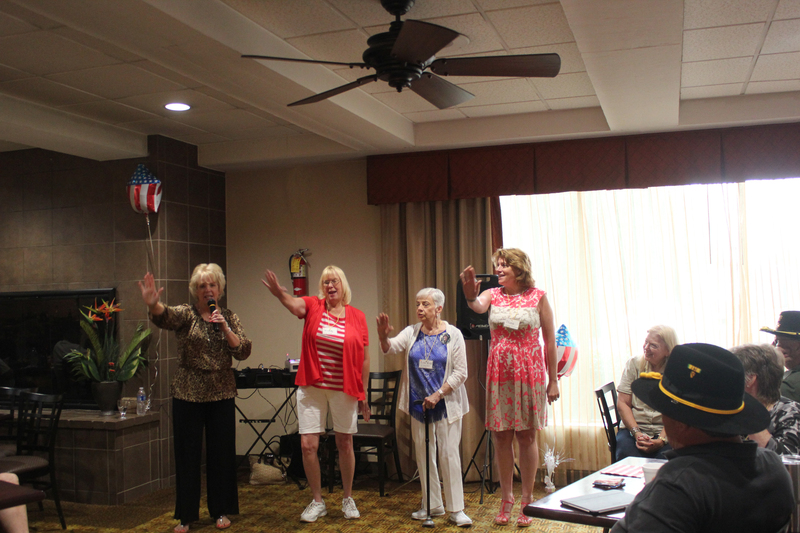 Miss Duncan than asked for three more volunteers to help her with the song “Stop in The Name of Love”. These ladies were to be the Supremes to her Diana Ross. One of those ladies asked was Mrs. Lou Kidd. Although standing with the aid of a cane Lou performed most excellently. A quick note. Mrs. Lou Kidd told me that her and James met when she was 12 years old. They were High School Sweethearts and even became the Homecoming King and Queen. She married James when she was 18 years old. 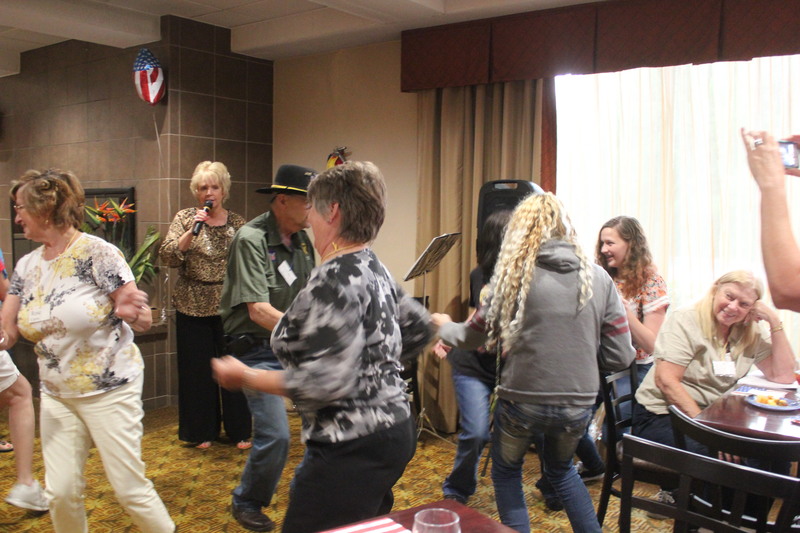 Later, during more of her songs, many of the couples got up and danced. The twist was the most popular. Don Coshey shaking his six. 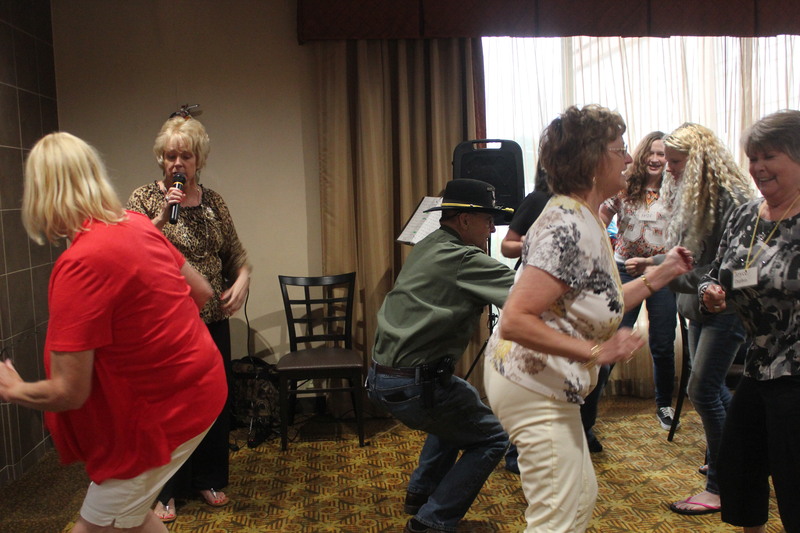 Dorris and Billie Williams Showing How it is Done. 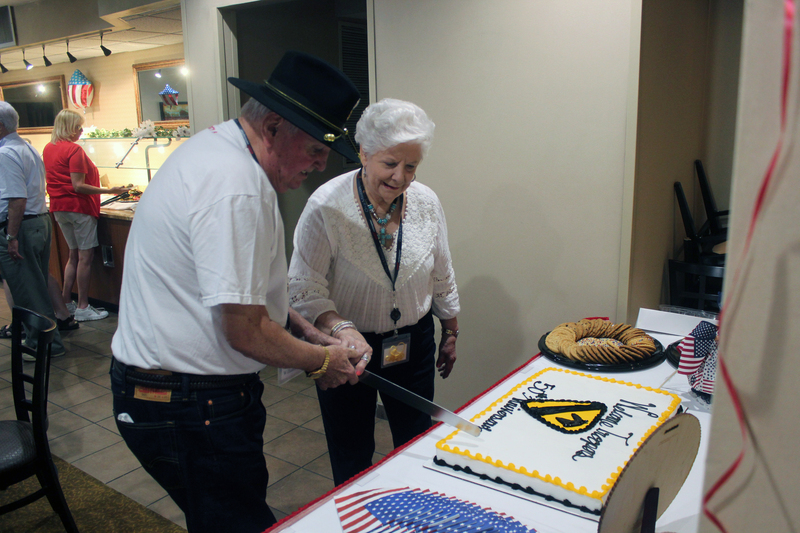 After the dancing, Billie Williams and his beautiful wife, Dorris, cut the 1st Cavalry Cake. It was suppose to have had 1/9 Cavalry on it. However the cake was picked up just before the Meet and Greet was to start. Dorris and Billie Williams cutting the cake. Looks like they have done this before. 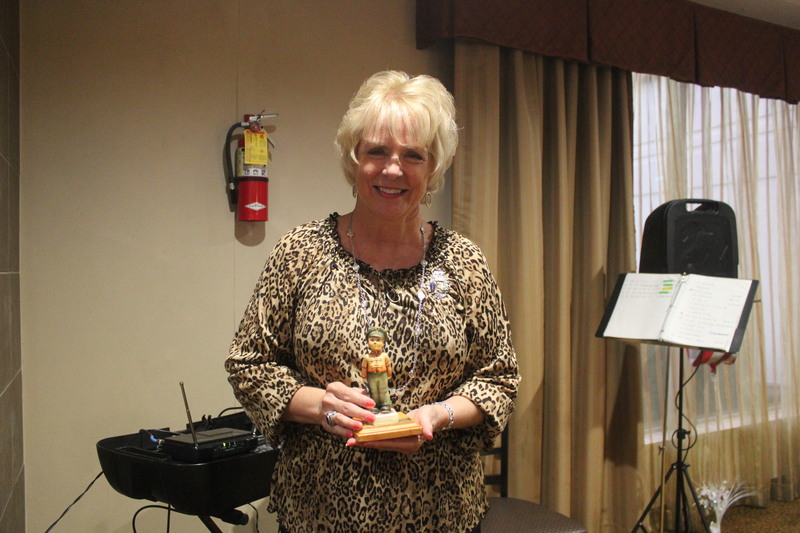 We presented Miss Duncan with the Hummel Figurine “Soldier Boy” for entertaining all of us Senior Soldiers. 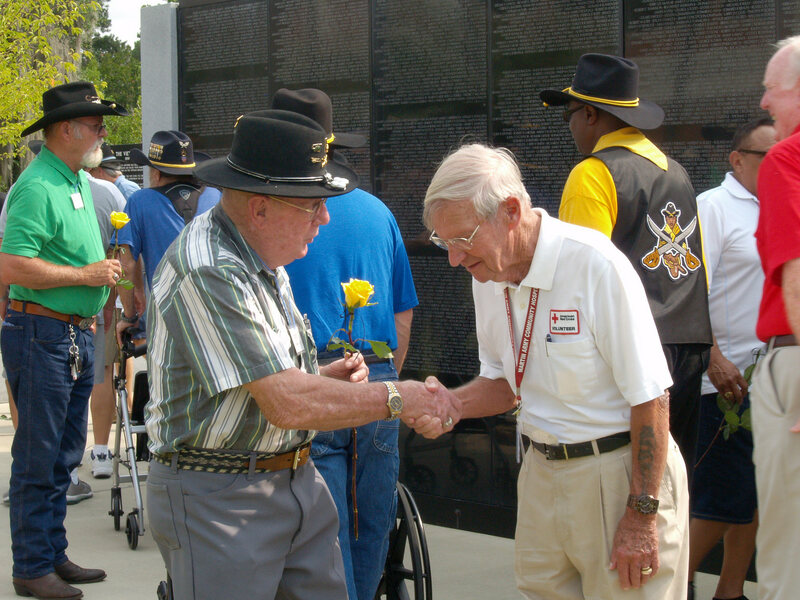 On the 1st of July, we conducted a “Paver Block” Ceremony” at The National Infantry Museum. 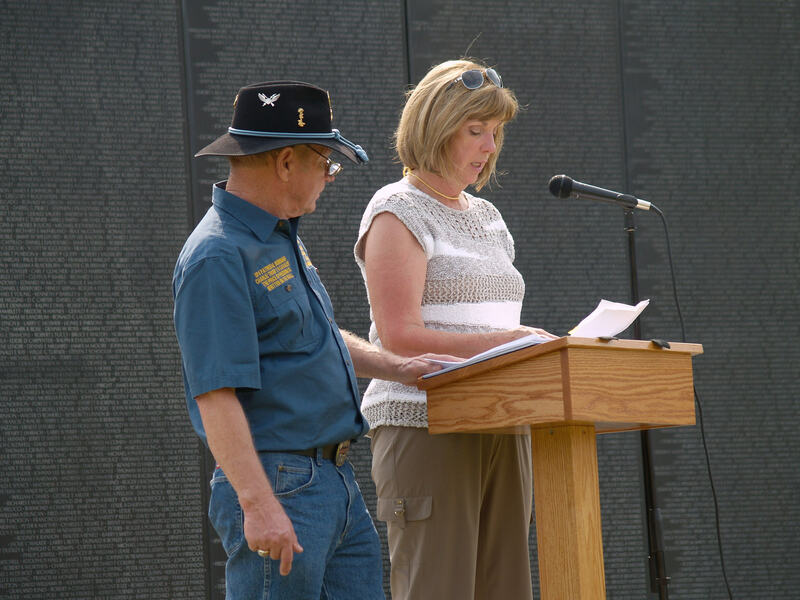 When Carol and I saw the “Wall” and the “Paver Blocks” on both sides of the “Walk of Honor” we knew that we needed to have two blocks laid there and a Wall Ceremony. The blocks are to 1. 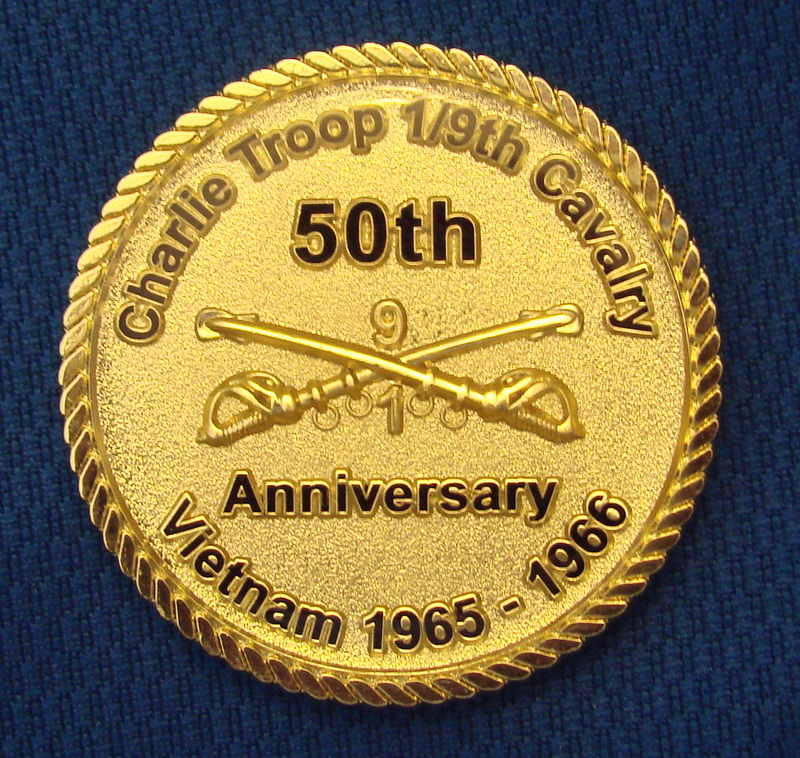 Honor “All Charlie Troopers” and 2. 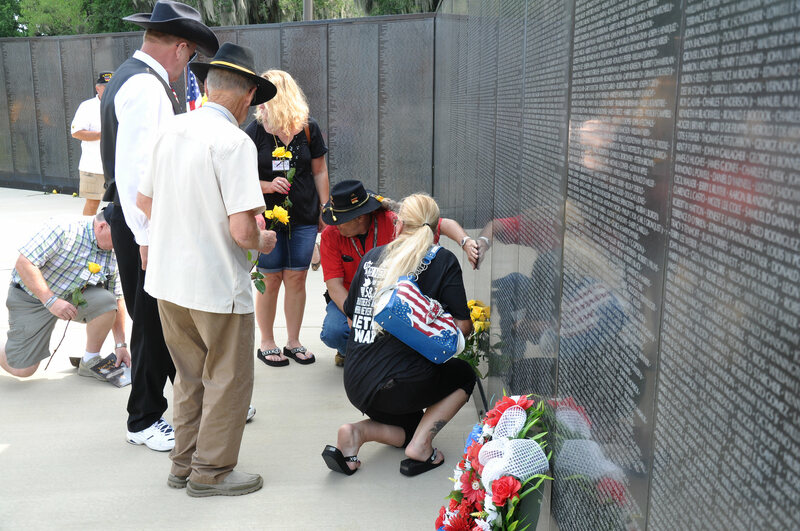 To “Honor Our Fallen Brothers”. When it came time to order them, Gordon Jones was told that there were insufficient funds on my credit card and his. 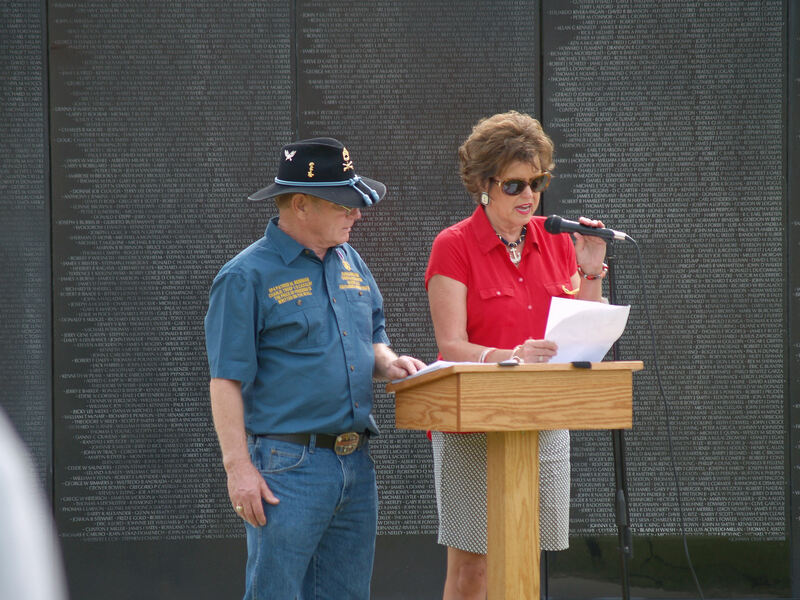 Then Ms. Lora Warren-Davis told Gordon that the Boy Scouts from Troop 128 Smiths Station, Alabama earned the money and paid for our Pavers. The Boy Scouts collected and crushed 68 pounds of aluminum cans. 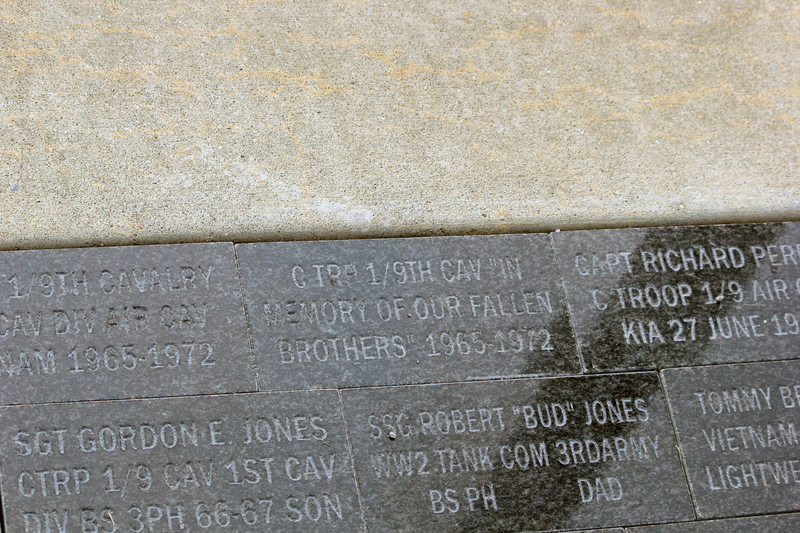 We now have pavers at The National Infantry Museum in Columbus, Georgia, at the Motts Museum in Grovesport, Ohio where Charlie Troop’s own Loach (Zit 990 ) sits on display thanks to Nate Shaffer who found it, hauled it back to his home and rebuilt it before dedicating it to that Museum and we have a set of Pavers at Apalachicola, Florida where the only other “Three Man Statute” Stands. Several other C Troopers purchased Blocks to be placed at the same time. 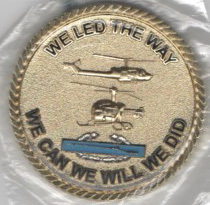 Gene Smith bought two to Honor Richard Perrin and Richard Meehan two Pilots that he served with who did not come home. 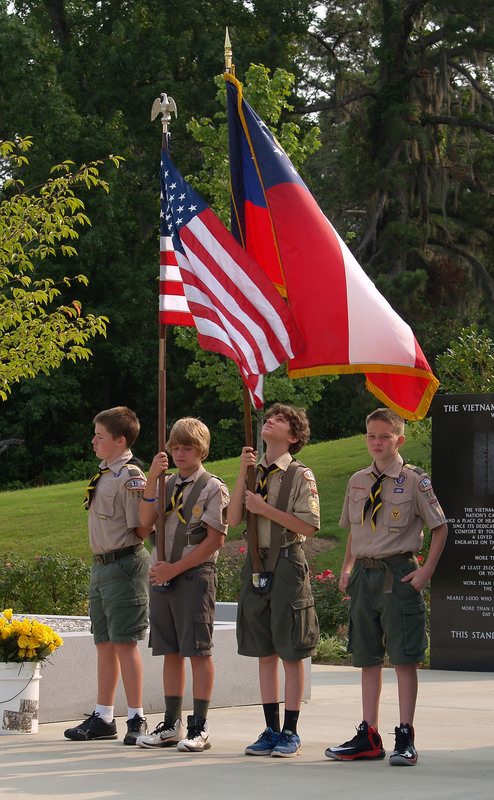 Our Gold Star Family members set the wreath down as the Boy Scouts continued forward to Post the Colors. Upon Completion of the Posting of the Colors, Major Billie Williams, SP4 Titch Titchenell and PFC Don Coshey carried the Wreath to it’s final resting place. 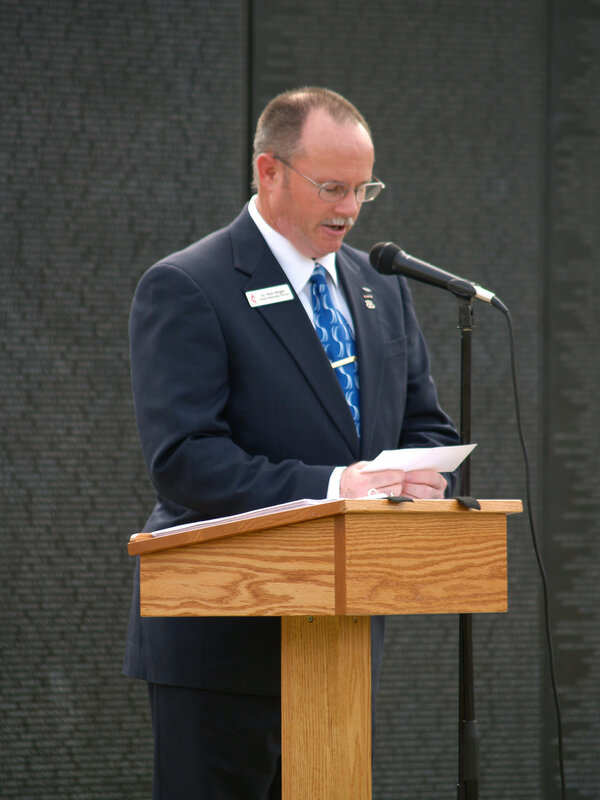 Then Pastor Richard Wright, a former Airborne Ranger, gave the benediction. 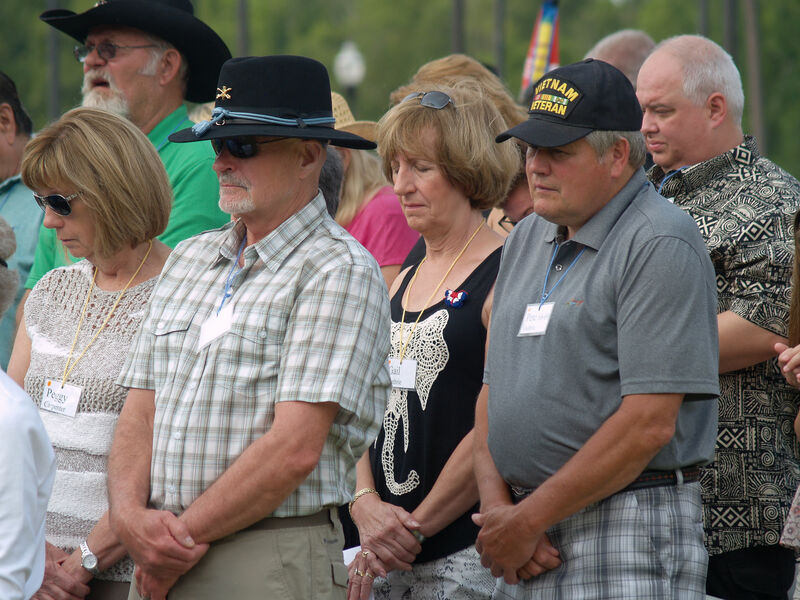 The following Ladies of Charlie Troop proceeded to read the names of Our Fallen Brothers: Gwynn Smith, Brenda Merritt, Rose Mary Cairns, Peggy Carpenter, Mary Alice Titchenell and Gail Guthrie. 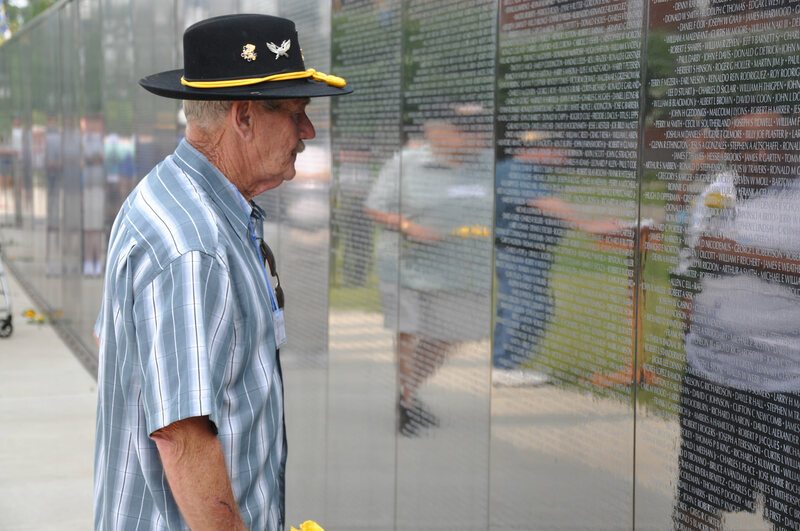 We also had Sgt Tex Helms read off the names of three of his fallen brothers who were killed in action. 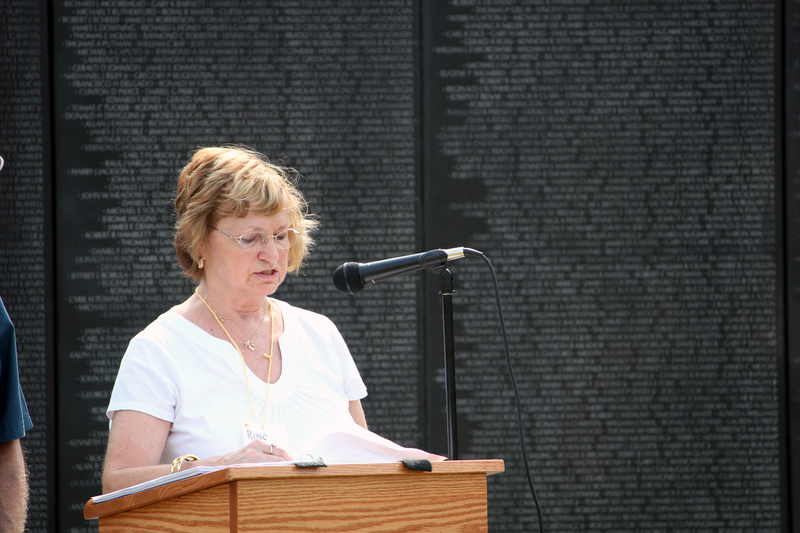 Then Mrs. Gwynn Smith came back up and read the names of 14 Alpha and Bravo Troopers who were killed during the same operation on March 30, 1966. 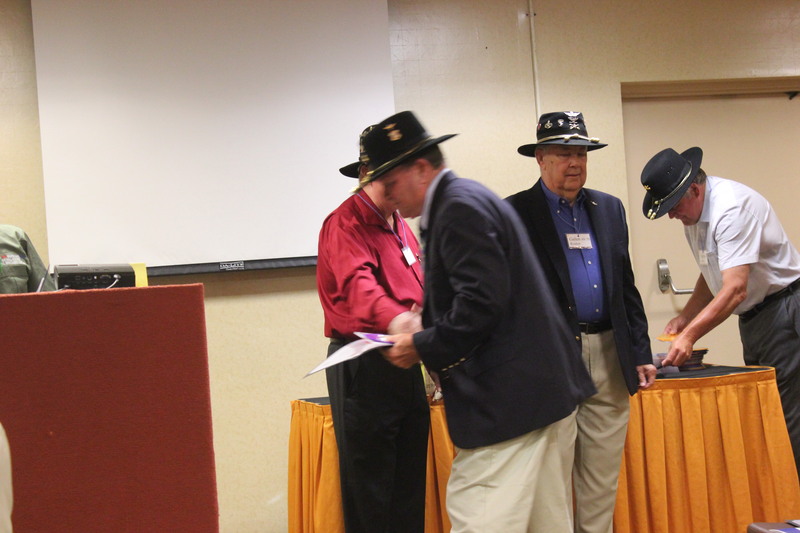 This was the bloodiest day for the 1/9th Cavalry. 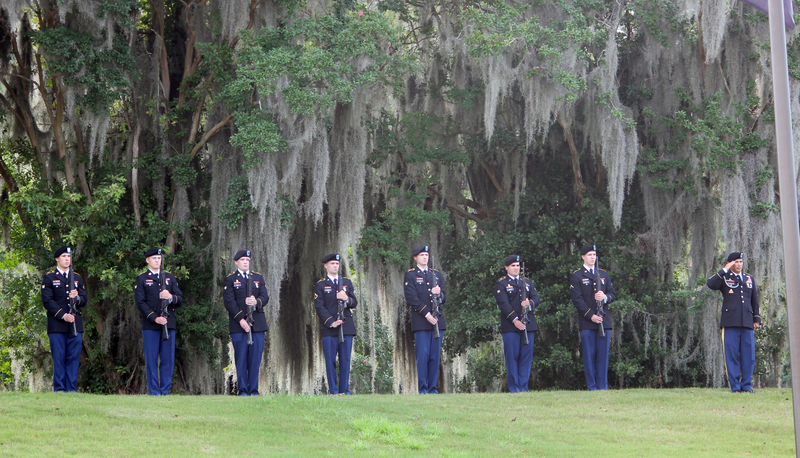 I had everyone rise for the 21 Gun Salute and the Playing of Taps. 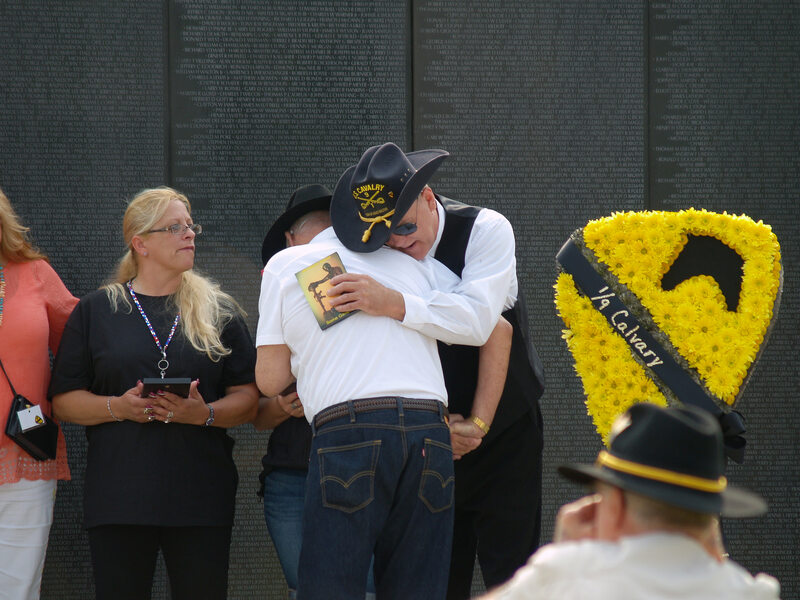 We then asked that all Troopers and Gold Star Family Members form a line on the sidewalk to the right so they could receive a single Gold Rose with a Black Ribbon to be placed at the foot of the Wall by their Fallen Comrades. 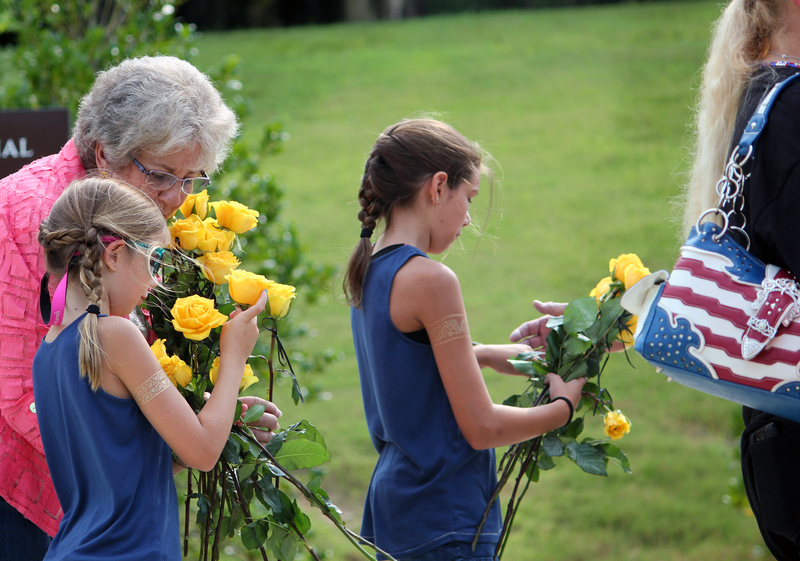 The ribbons were tied on the roses by Susan Jones, Melissa Brazier, Jolie and Delanie Brazier and Mrs. Jeanette Fellin. 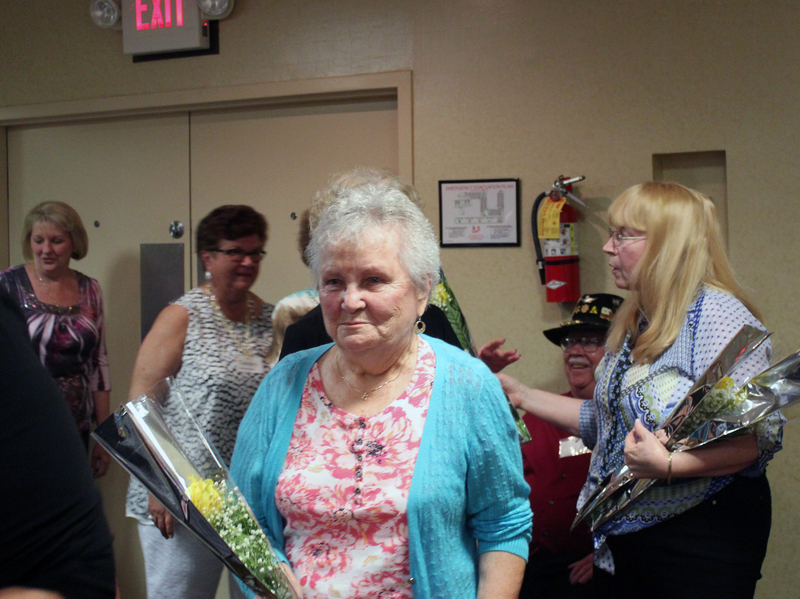 The roses were presented by Jolie and Delanie Brazier the grand daughters of Gordon and Susan Jones and the daughter of Melissa Brazier Susan’s daughter. Once the men and GSFM’s were given enough time, the other family members were allowed to join them. Billie Williams gives Opening Remarks. Major Billie Williams and Danny Walton share a moment. Danny’s father was Killed the day he was leaving to Go HOME. 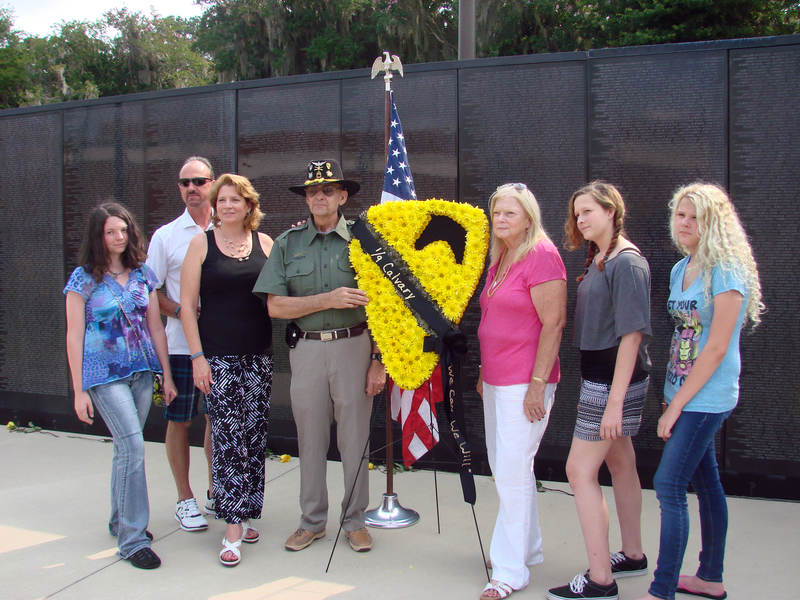 Walt Titchenell with Gold Star Family members placing Roses. 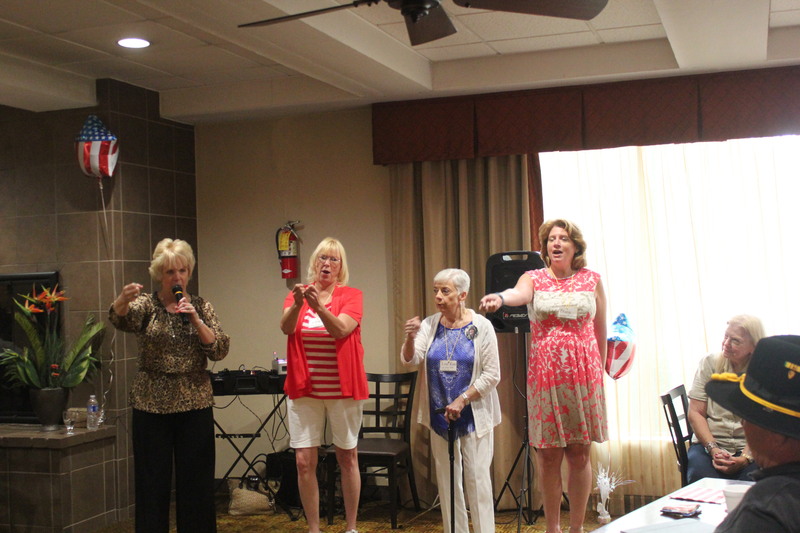 Teri Nave, Joe Nave, Danny Walton, Diane Walton-Gleaton and Kathleen Walton. Both Fathers were killed the Day they were going home. Tom Roe Reflecting on Comrades Lost. 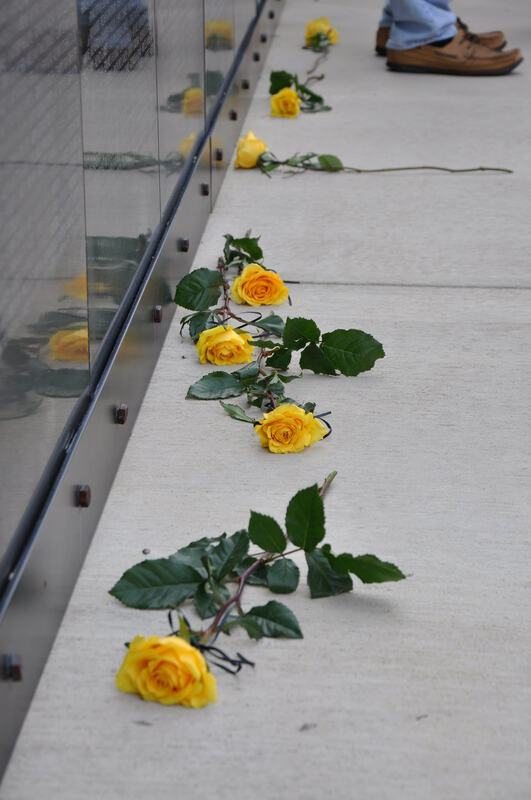 Yellow/Gold Roses with Black Ribbons laid at the Foot of each Panel where a Fallen Brother’s name appears. James Goldsberry consoles another Comrade. Peggy and Crae Carpenter, Gail and Pete Guthrie in prayer. Billie Williams and Larry Banks. 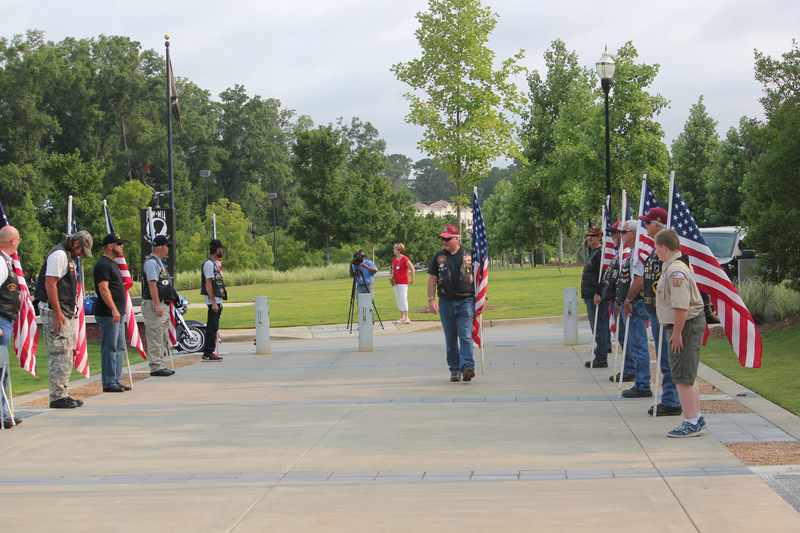 Patriot Guard escorted us to the Museum and then lined the Walk of Honor and saluted every Veteran. 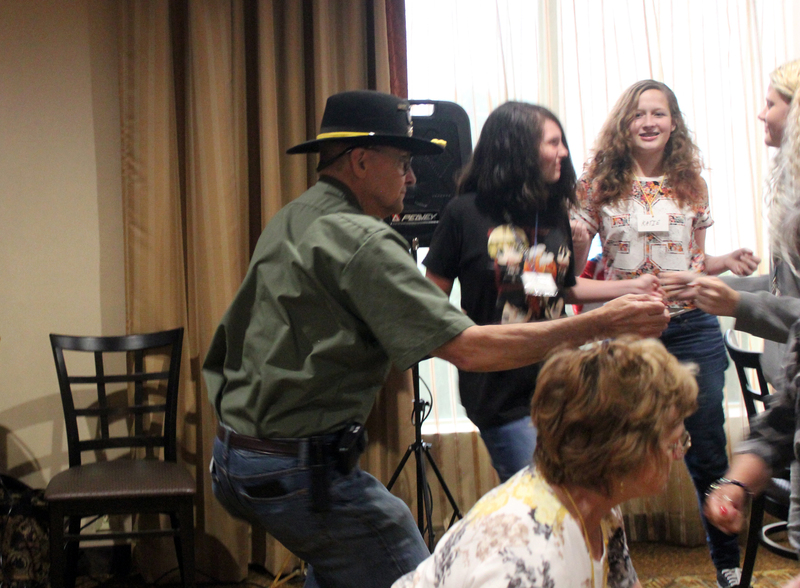 Susan Jones (in Pink) Delanie Brazier (Blonde) and Jolie Brazier getting ready to hand Roses to Troopers and GSFM’s. 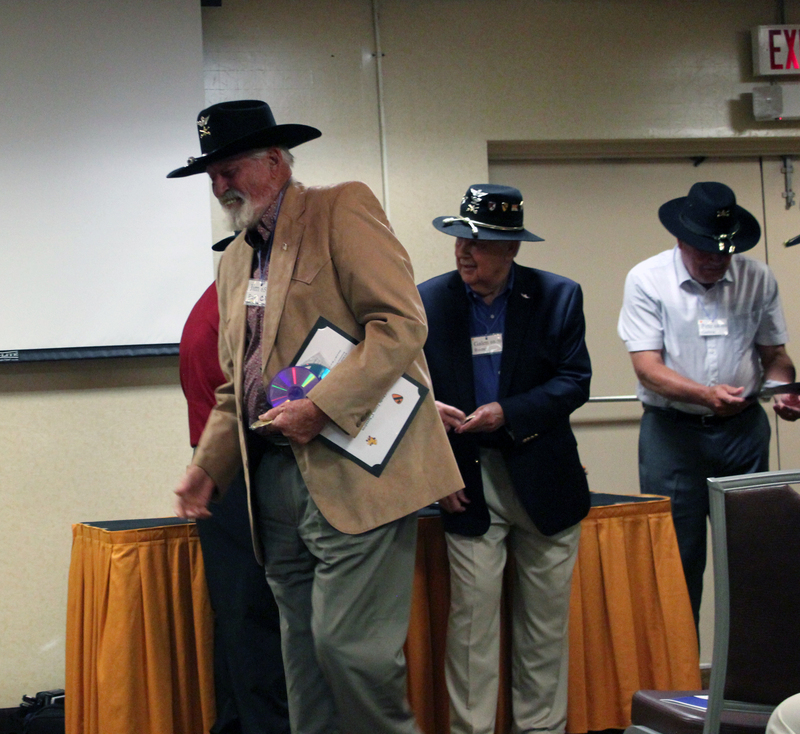 Starting at 4:30 PM, we conducted our “50th Anniversary Reunion Ceremony” to Honor Our Brothers who led the way. I gave a short opening statement and then Major Billie Williams address the Troopers. 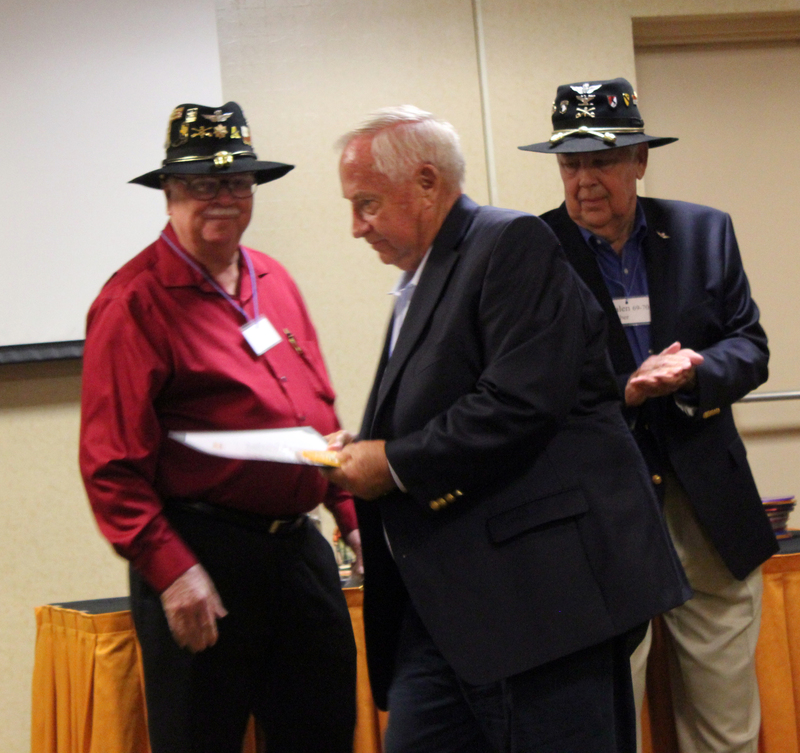 After Major Williams, WO Gene Smith gave a speech on being the “Keeper of the Rock” and what it meant. 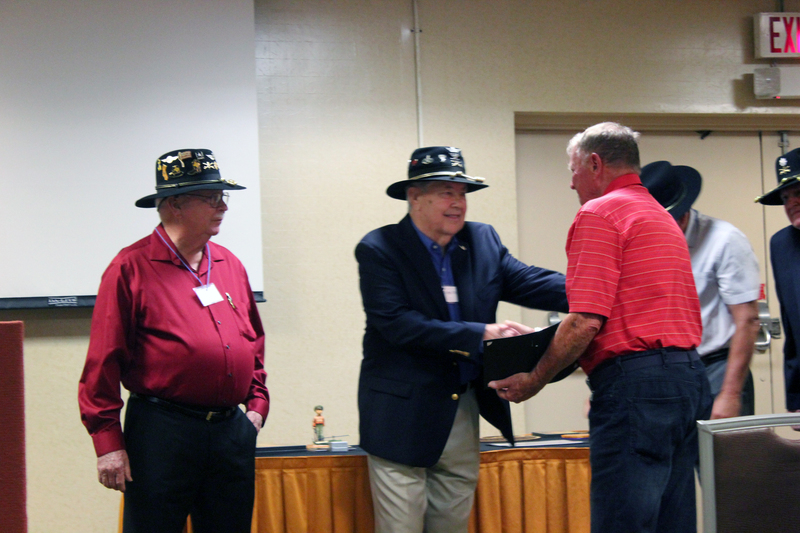 WO Smith gave a great speech to include his admiration and Respect for LTC John B. Stockton, “Bullwhip Six”. 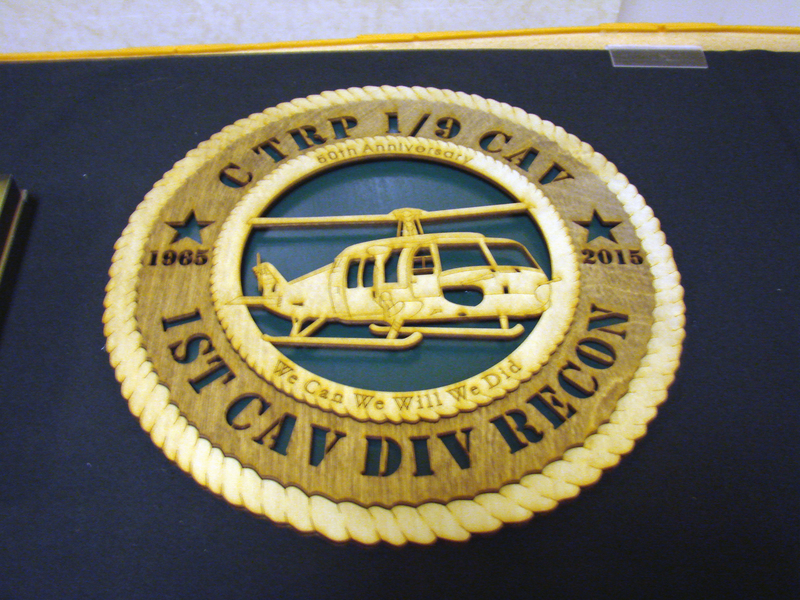 Our “In Honor of our Fallen Brothers” Plaque. 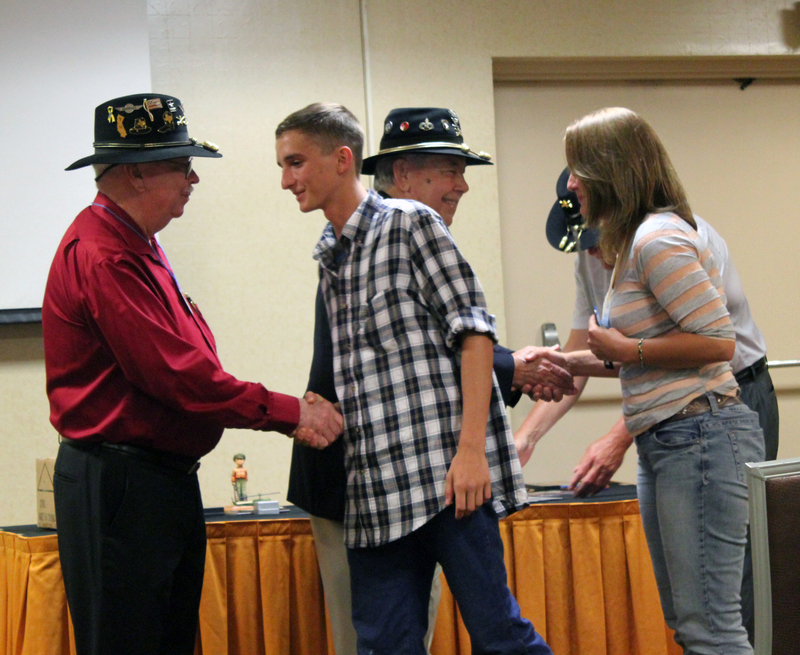 We gave each of the young men a “Certificate of Recognition” signed By LTC Billie Williams. 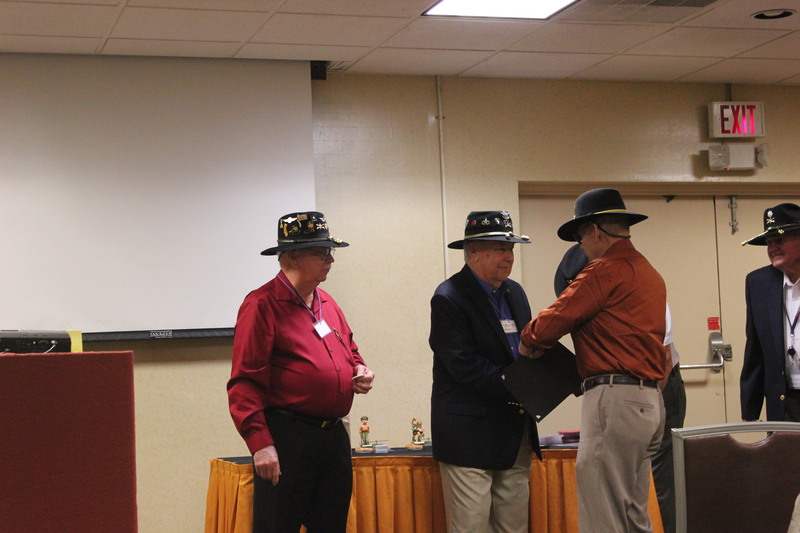 The Certificate, ” Thanked them for their outstanding performance in Posting and Retiring the Colors at both the “Wall” and the 50th Ceremony” and announce them as “Little Brothers of Charlie Troop”. 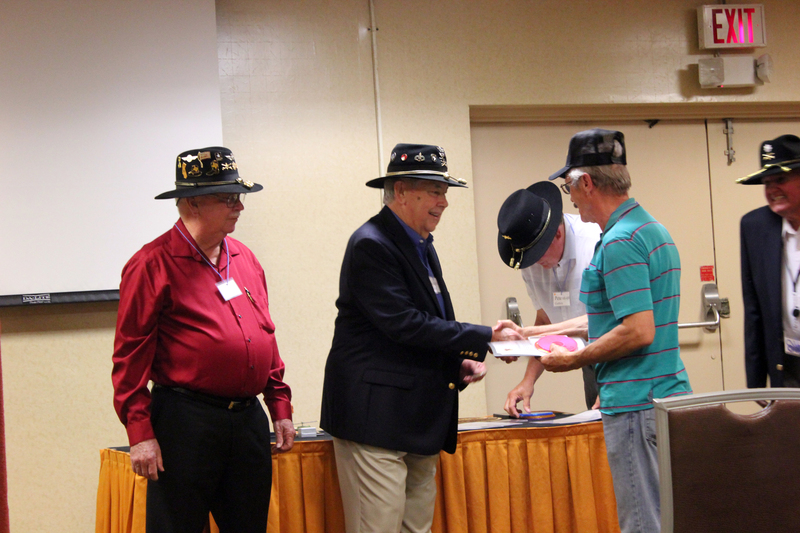 They also were presented with a 5×7 plaque of “Honoring our Fallen” and a miniature 1st Cav patch. 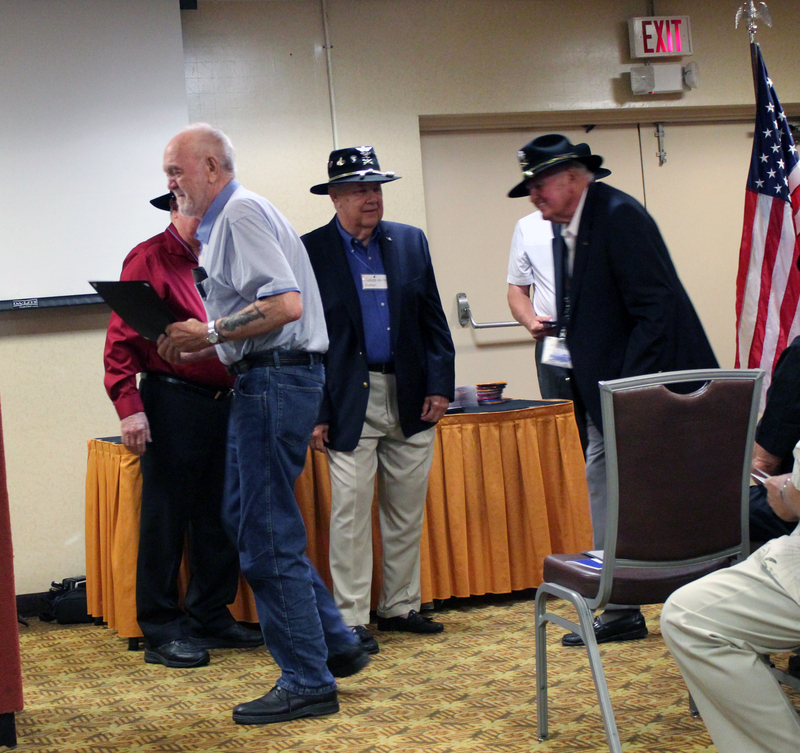 The room then stood up and gave a round of applause. The ceremony to Honor the 65 Troopers began with Gary Sinise Reading the Certificate of Recognition. 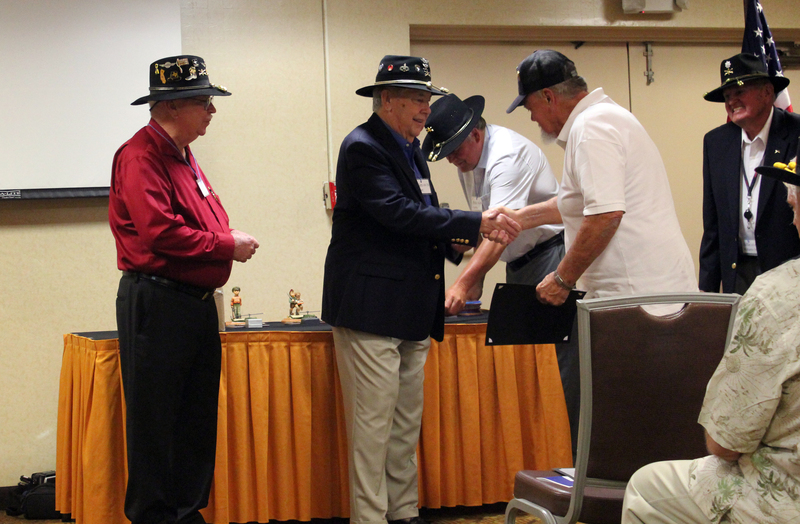 Each of these men were recognized with a “Certificate of Recognition” and all Charlie Troopers received a coin designed for them. 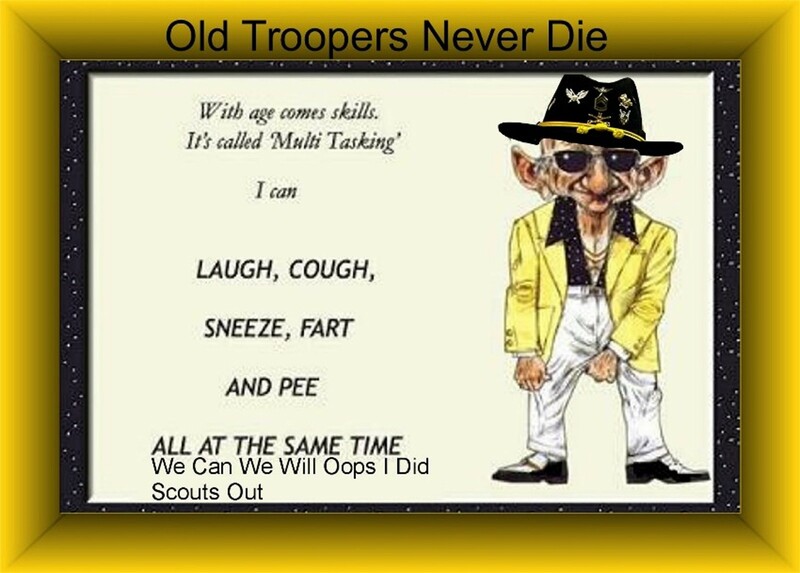 a DVD including the pictures of all of the C Troop 96 men that I could find. The DVD also included a short video called “Facing the Wall”. 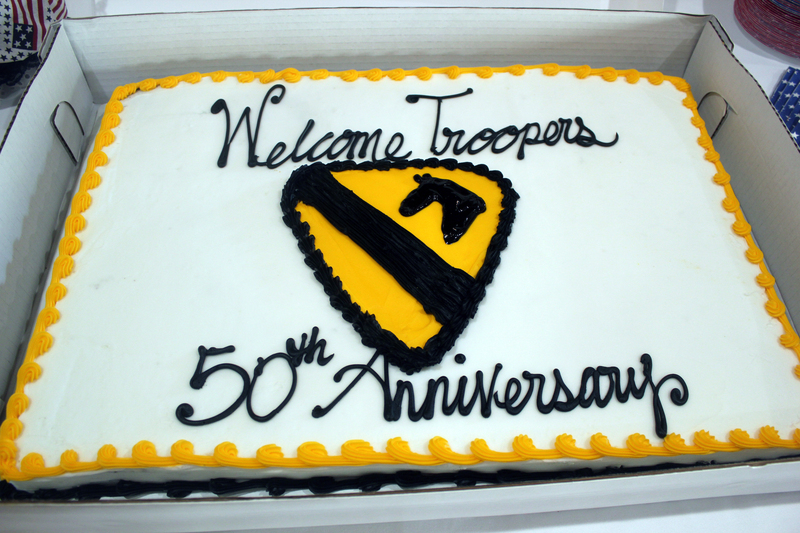 A Slide show listing all of the Troopers lost from August of 1965 to December 31, 1966. 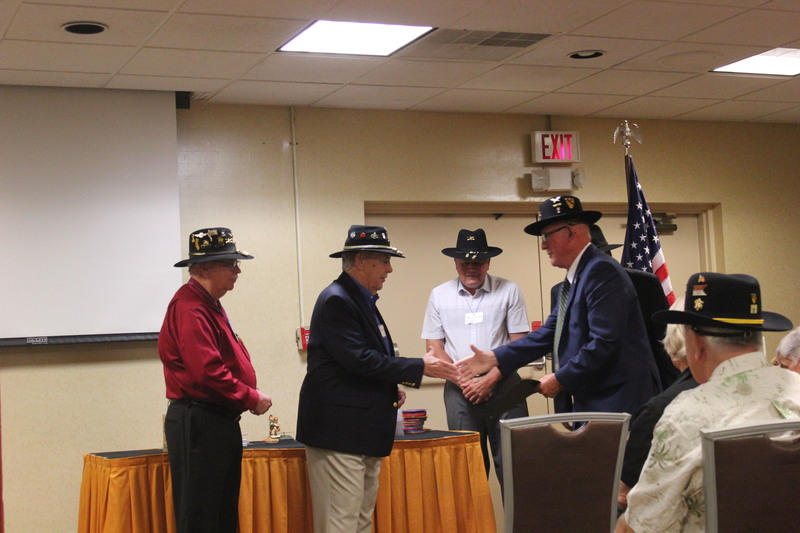 At he end of the DVD was a slide show of over 100 pictures given to me by Frank Moser depicting leaving Ft. Benning, going through the Suez canal, and ending in Vietnam. 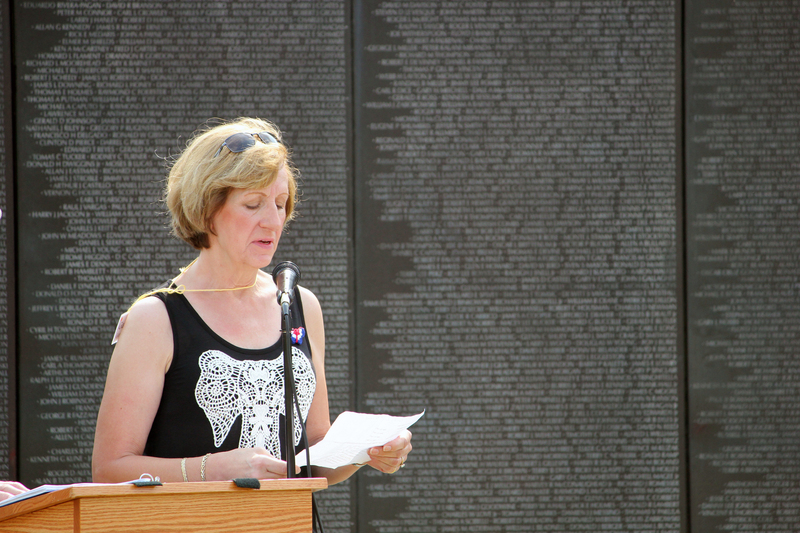 I began by calling each 65 Trooper up by the Rank they held when they first arrived in Vietnam. I called each man up one at a time. Major Billie Williams was honored first. 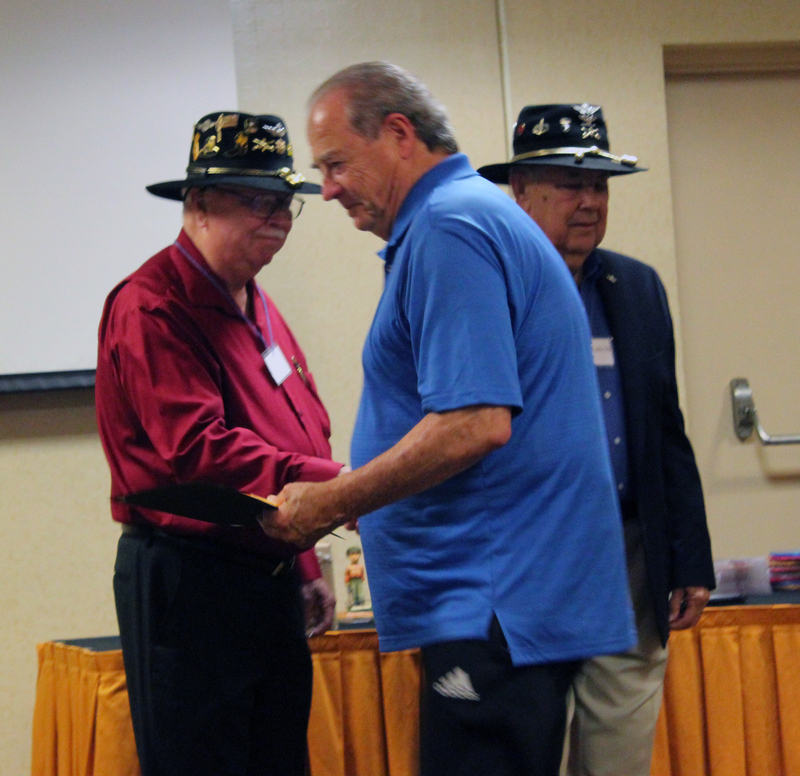 Colonel Galen Rosher presented Major Williams with his Certificate, coin and DVDs. 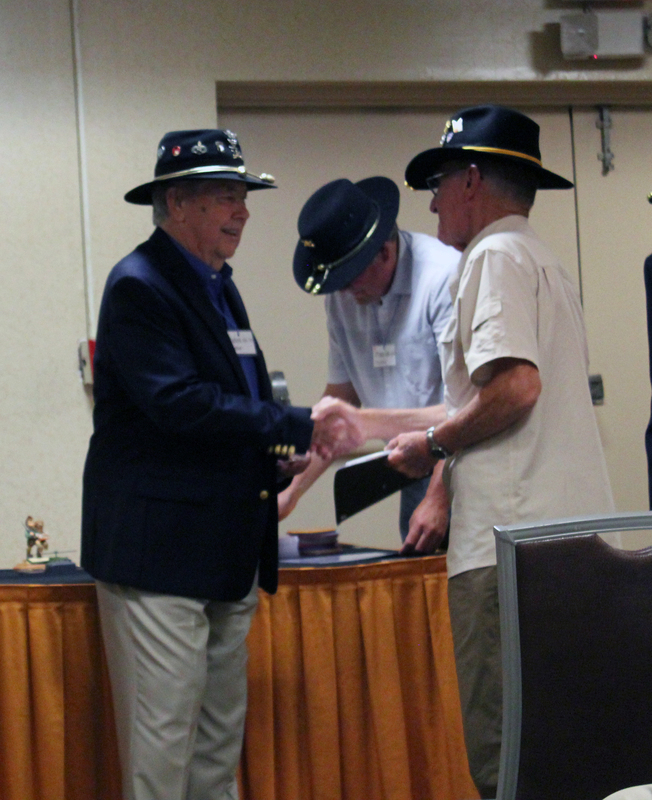 Then LTC Billie Williams with the assistance of 1LT Pete Guthrie continued to present each remaining Trooper with his Certificate. 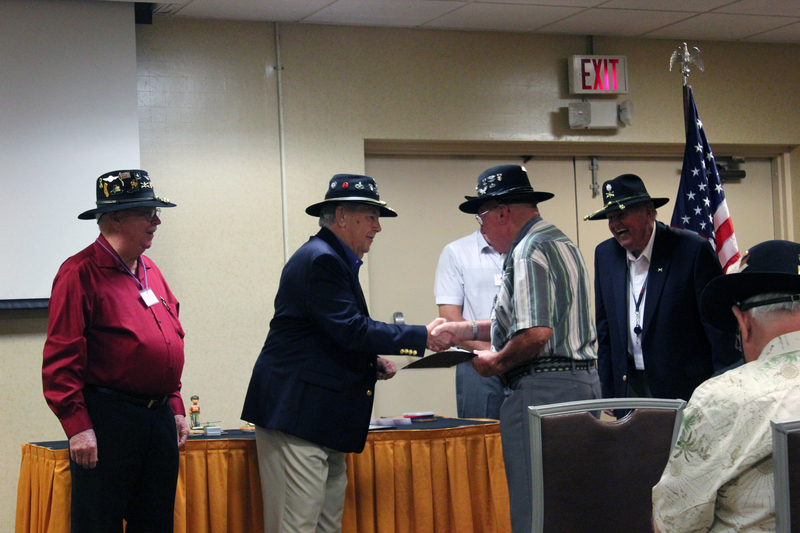 Colonel Galen Rosher with the assistance of Captain Cecil Smith presented the men with their coin and DVDs. Joe Nave Son of Major Billy Nave. 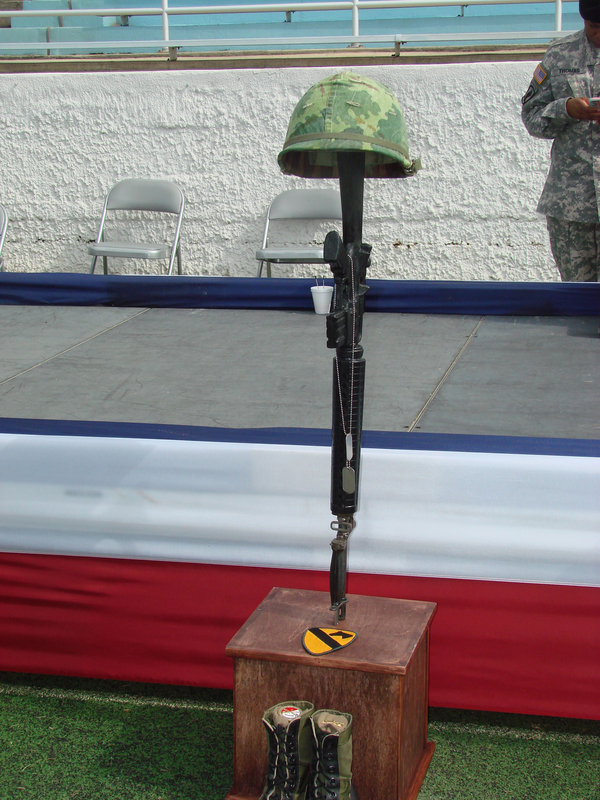 PFC Felix “Tex” Helms Bravo Troop. Johnnie (GrandSon) and Elizabeth (Daughter) Dresel. Larry Wright. 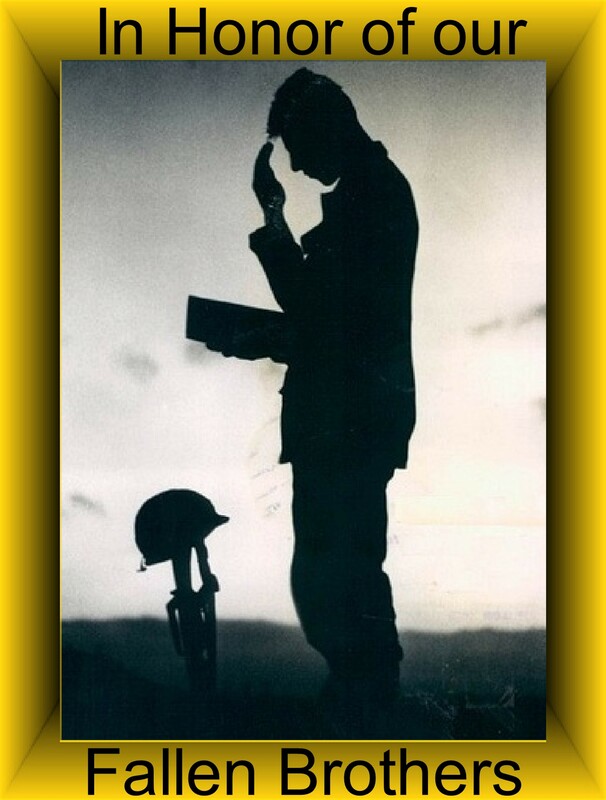 PFC Armond Salazar C Troop. FC Don Coshey C Troop. SP/4 Walt “Titch” Titchenell C Troop. 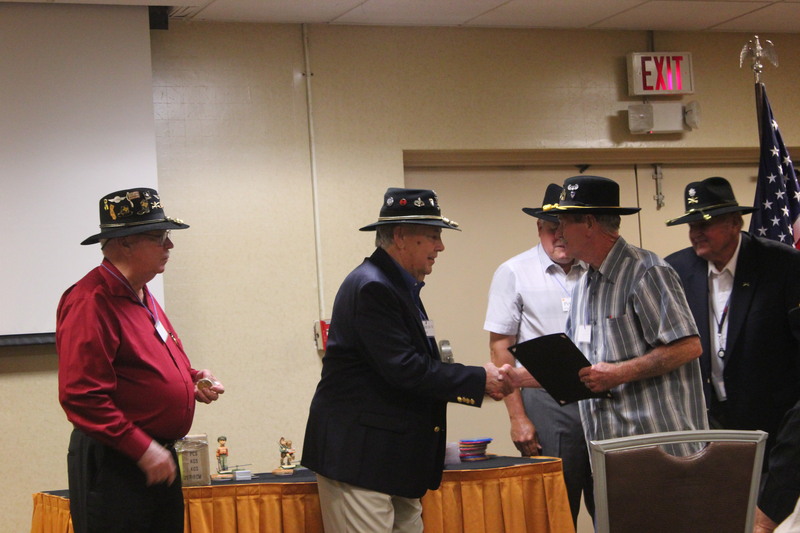 SP/4 Jerry Schmotolocha C Troop. P5 Tom Roe C Troop. WO John Yorke C Troop. Mrs. Lou Kidd Widow of Captain John Kidd C Troop. WO Gerald Toman C Troop. WO Gerald Grimm C Troop. Chief Warrant Officer 3, James Reid C Troop. 1LT Joe Rhoden C Troop. James Sutherland D Troop. James had a bout of Diabetes and missing the ceremony that afternoon. 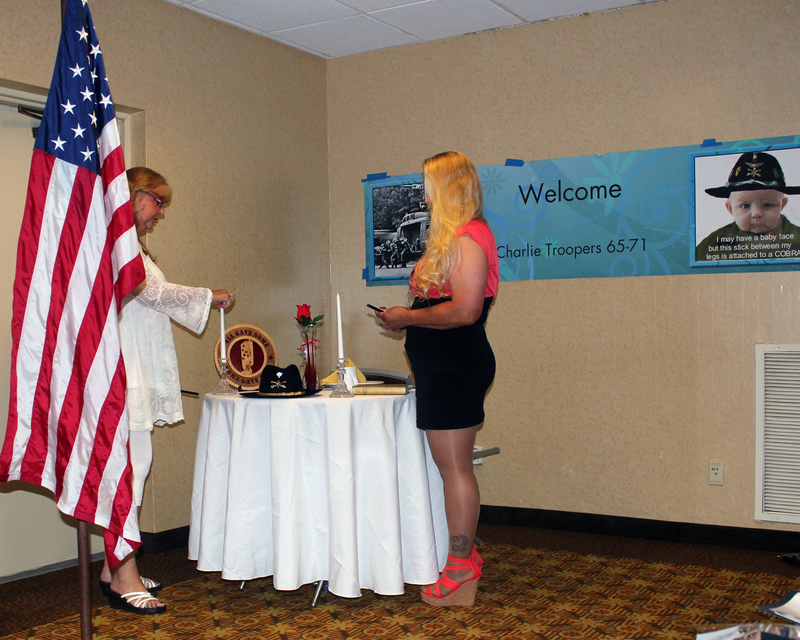 Upon completion of Honoring our 65 Troopers, we called the wives of thee brave men up front. 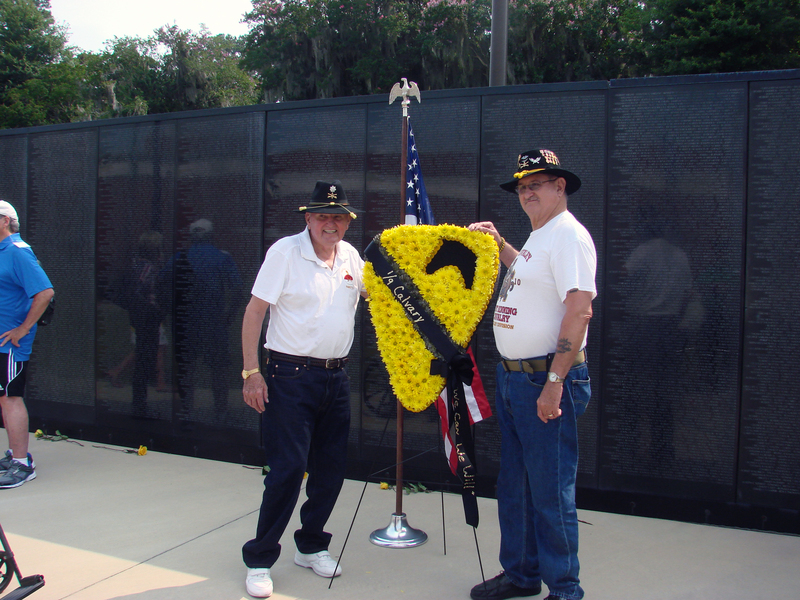 We wanted to honor them for standing by their man for all these years. 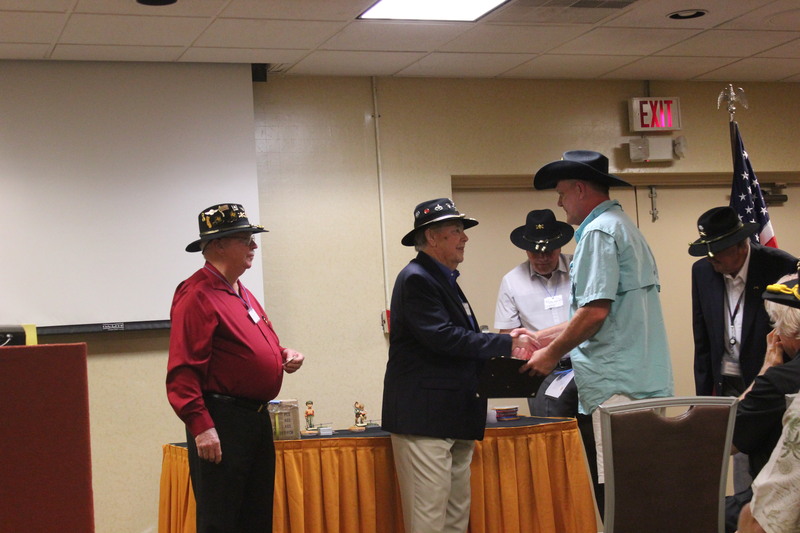 Each wife was presented a Gold Rose with a Black Ribbon (Cav Colors). 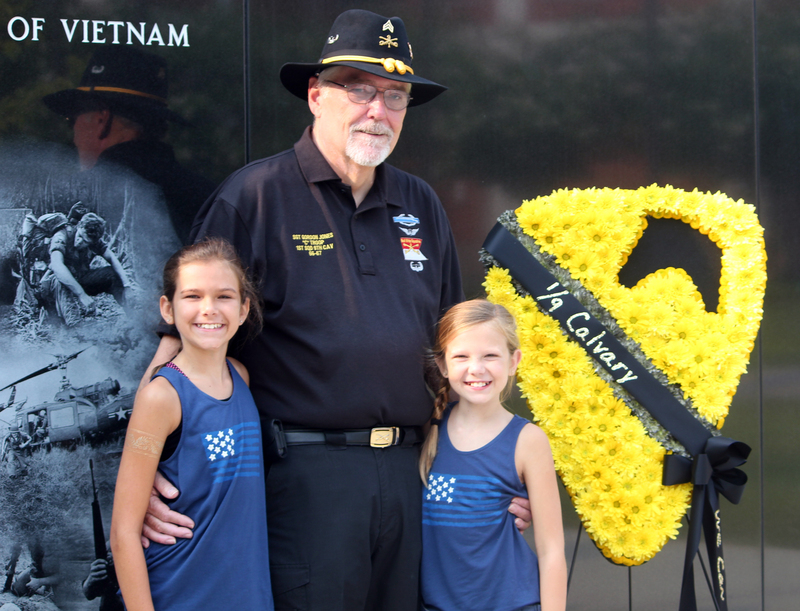 We also honored Jolie and Delaney Brazier for their assistance in tying the Black Ribbon on the Gold Roses and then Handing them to each Trooper. 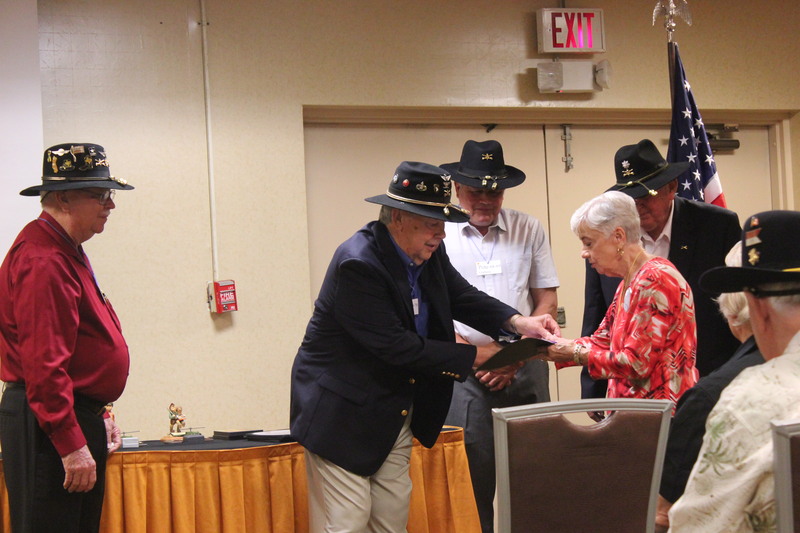 Don Coshey presented Miss Elizabeth Dresel with a Hummel Figurine called “Soldier Boy” in honor of her Father SP5 Larry Wright. 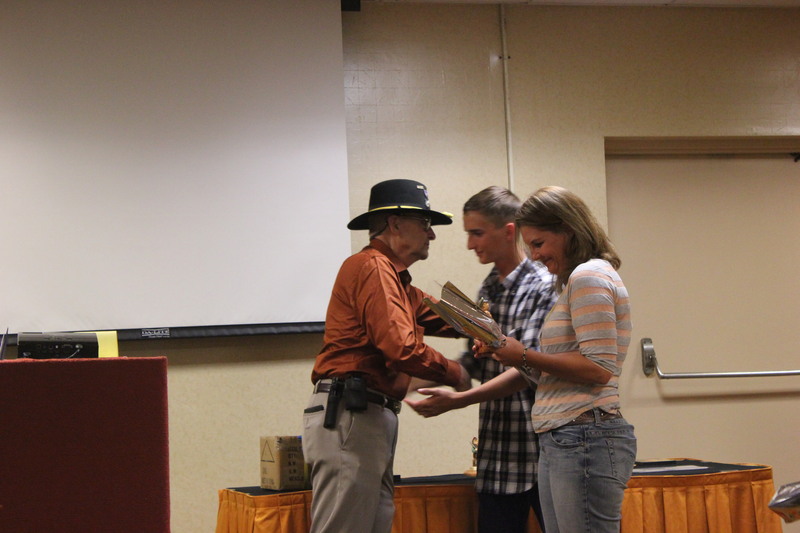 Jerry Toman had his named drawn for the Door prize. 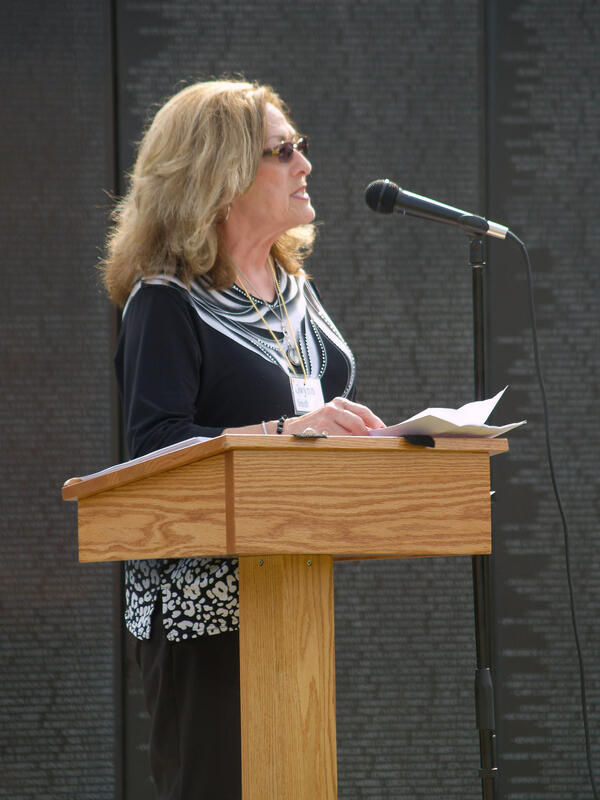 Lora Warren-Davis from the National Infantry Museum, was presented an 8×10 plaque “To Honor our Fallen”. 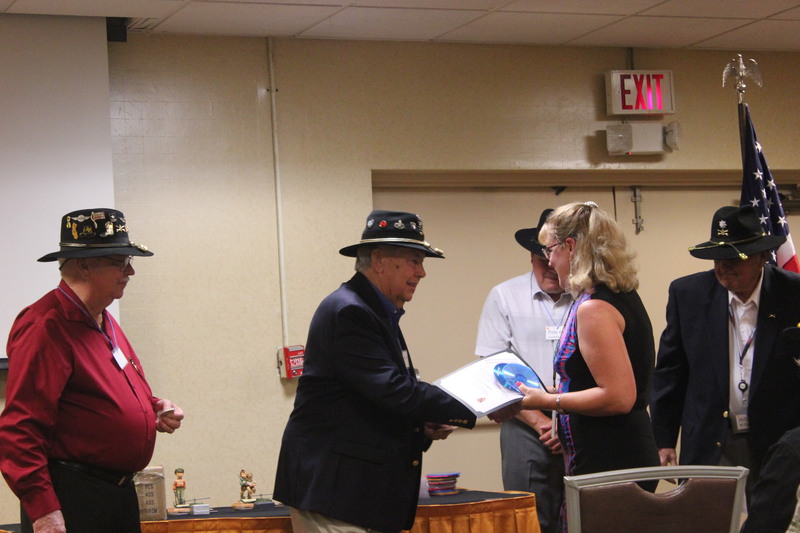 Tiffany Hoffmann receiving her Figurine from Gordon Jones. 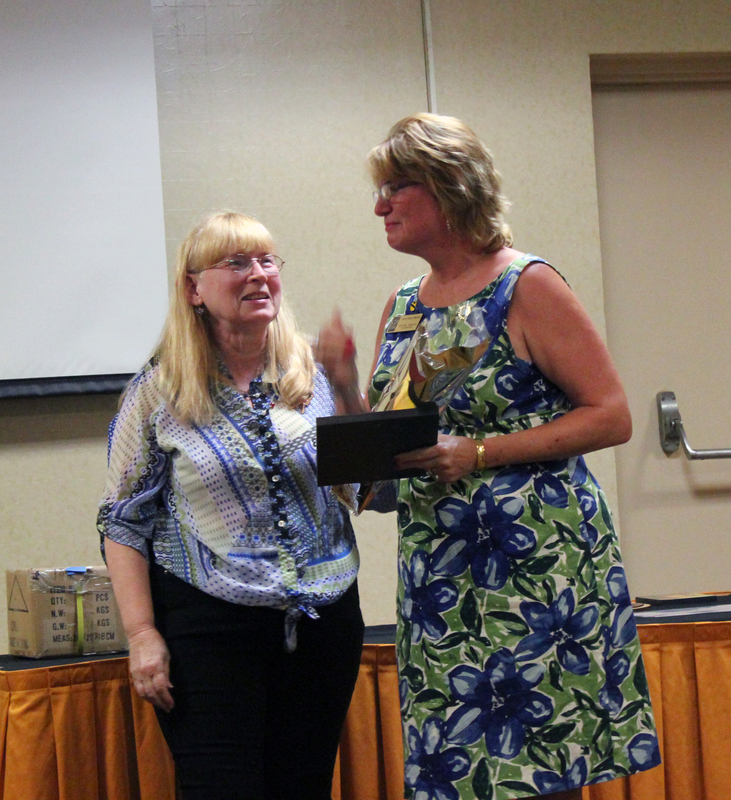 Tiffany Hoffman was presented with the Hummel Figurine “The Volunteer” for all of the hard work she did to make this reunion so special. 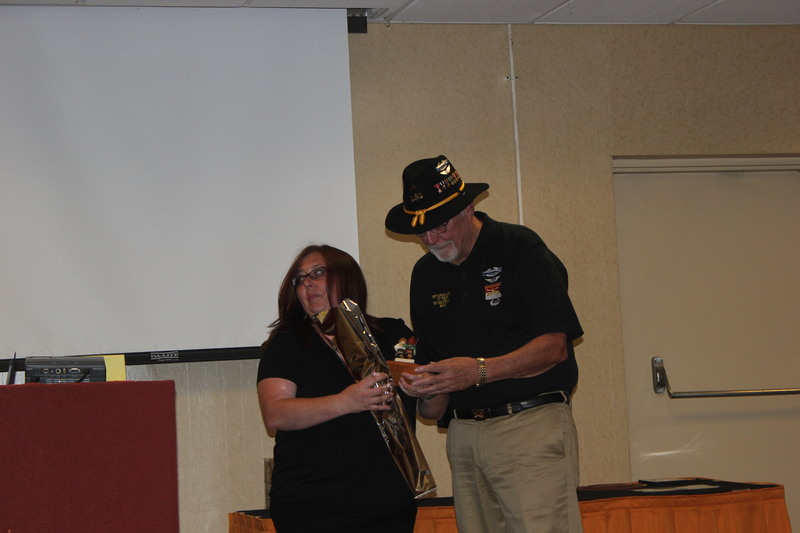 Tiffany was responsible for getting the Boy Scouts, the photographer and the Bugler for us. 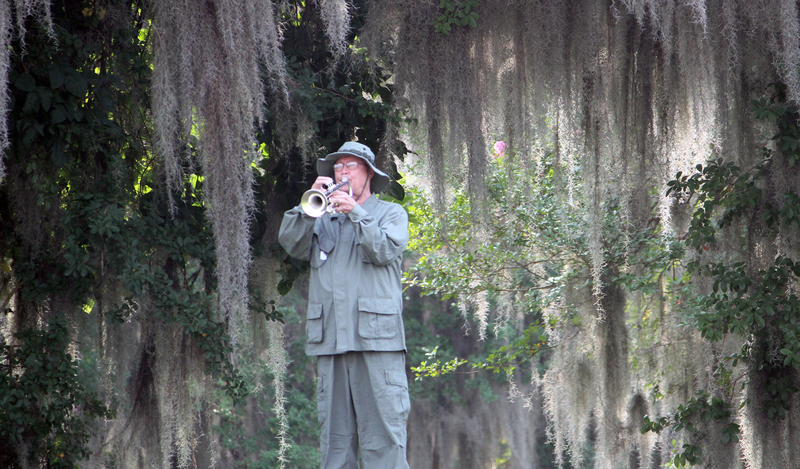 She also ordered Vietnam Jungle fatigues for the Bugler to wear. The scarfs that the Boy Scout wore were another story of her dedication to us. She had had her mother make scarfs but they got lost in the mail. The evening before the ceremony, Tiffany asked one of her friends if he would buy the material would her friend make the scarfs. She said sure, when do you need them. Tiffany told her by 8:30 the next morning. They were done in time and they were Black centers with Gold Trim. We had a few Troopers that couldn’t make it to the reunion and asked me to comment for them. Mike LaChance who is battling cancer wanted me to tell everyone he was sorry he and his lovely wife Ava could not make it. He wanted us to drink a beer in his honor, for me to get a picture of Galen Rosher in front of Iron Mike and to make sure we held a great Wall ceremony. We did all three. to Go. Darwin said he was sorry he missed the reunion and wanted everyone to have a good time. Joe Waters also had a medical problem and could not attend. 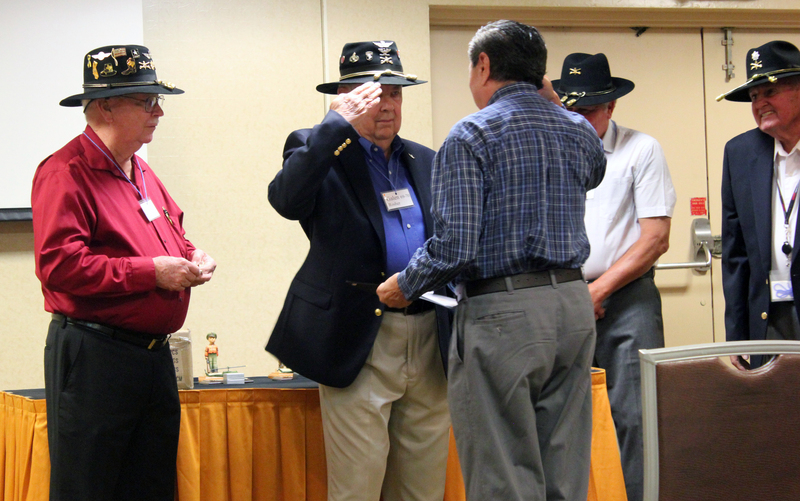 Then I had to give the sad news of LTG Charles Bagnal’s passing. 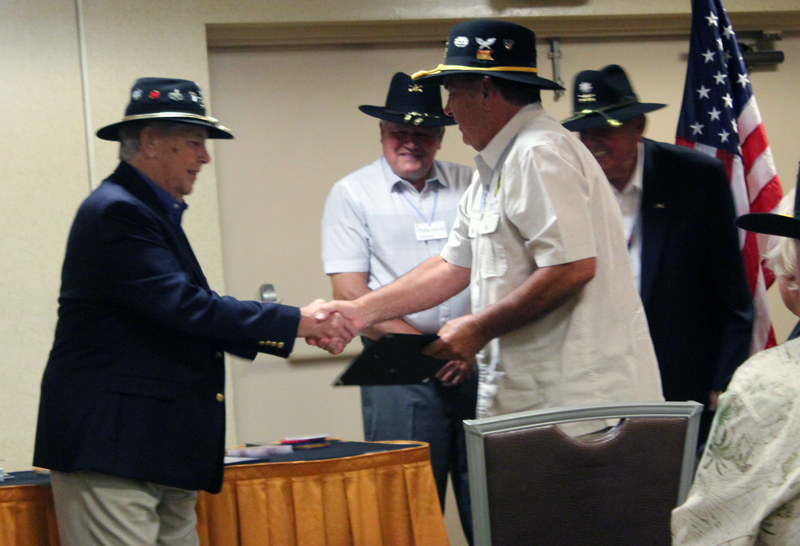 LTG Bagnal was the officer that signed the first set of Certificates for me even though he was battling Leukemia. He told me less than two weeks prior to his death that he would sign the remaining certificates if I would send them to him. I told his wife, Patsy, that I would have LTC Billie Williams sign them instead. The table is round to show our unending love for Our Fallen Brothers and our Everlasting concern for the missing. The tablecloth is white to symbolize the purity of their motives when answering the call of duty. A single Red rose, displayed in a vase, reminds us of the life of each of these men, their loved ones and Brothers in Arms. The vase is stained in Red to symbolize the blood that Our Fallen Brothers shed and a symbol of our continued commitment to account for our missing. A slice of Lemon on the plate is to remind us of the bitter fate of those captured or Killed in a foreign land. A pinch of Salt symbolizes the tears endured by those missing and their families to seek answers and the families of Our Fallen Brothers who still miss them today. 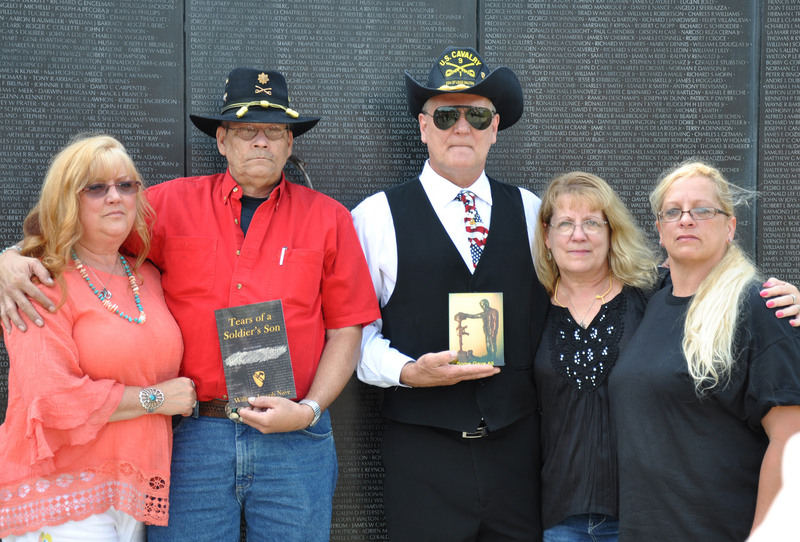 The bible represents the strength gained through faith of the men Killed in Action, their families and those lost from our country, founded as ONE NATION UNDER GOD. The glass is inverted and their plate is empty to symbolize their inability to share in this evening’s meal with us and the chair is tilted forward against the table because they are not here. 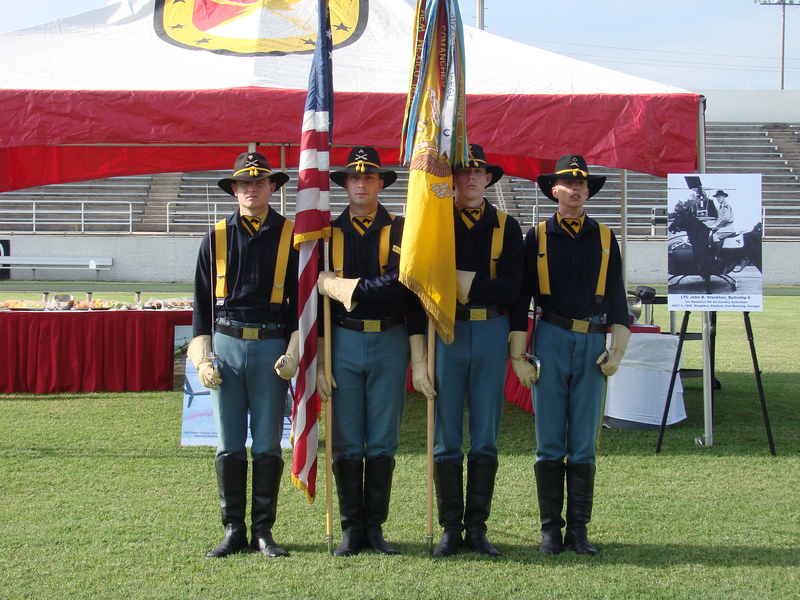 The Stetson represents the Brotherhood of the 1/9th Cavalry. 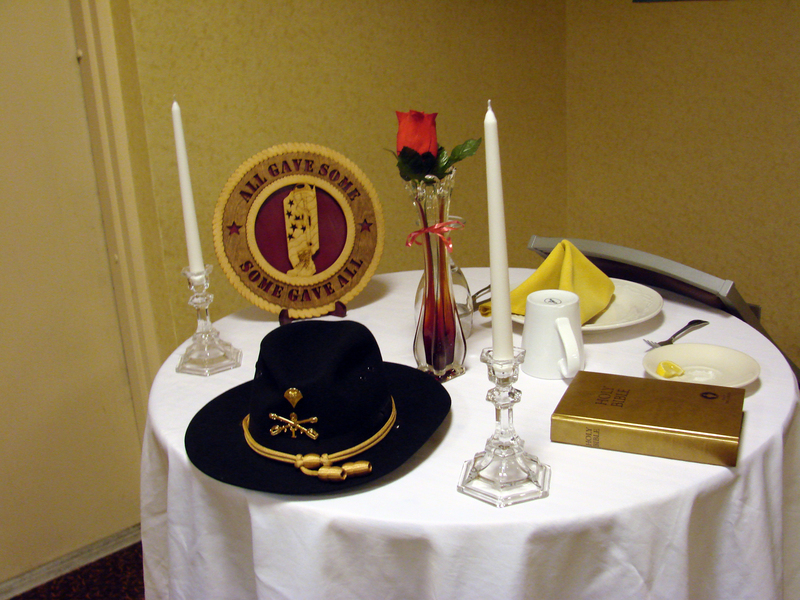 The Stetson on the table was the same Stetson that Ernie Cairns wore in Vietnam. 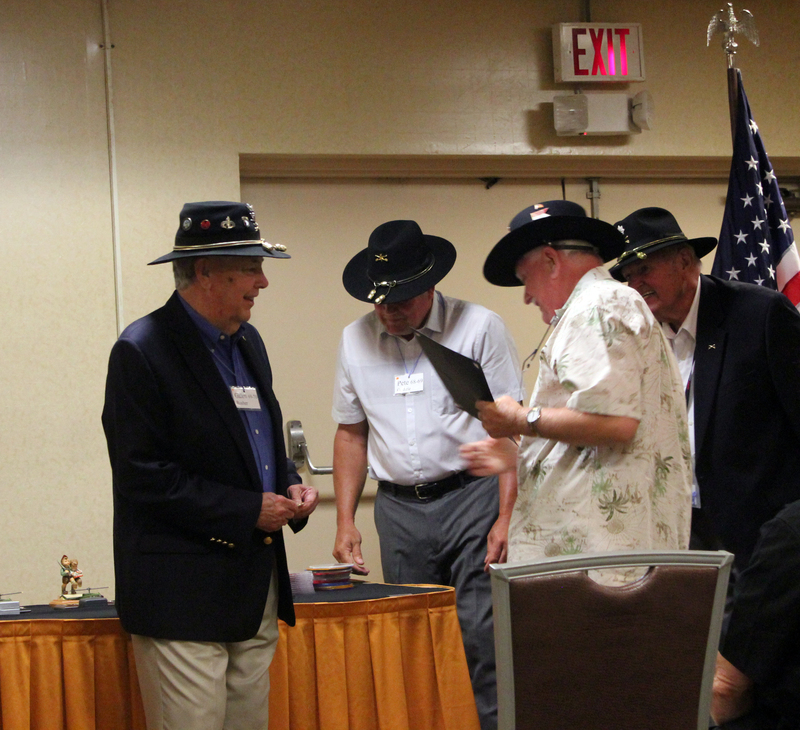 Ernie donated the Stetson with the understanding that it would be on the table at all reunions. 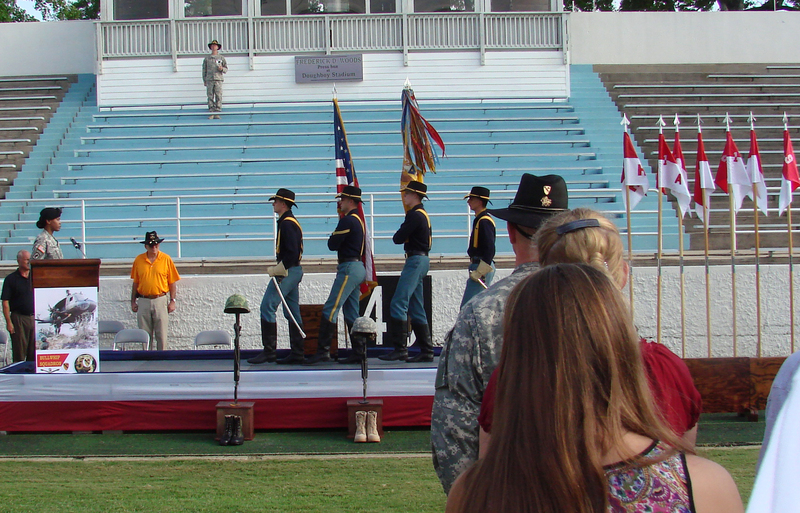 On the 2nd of July, we attended a Re-enactment Ceremony of the 1/9th Receiving it Colors back. This was done at Doughboy Stadium. Joe Bowen put on an excellent ceremony. 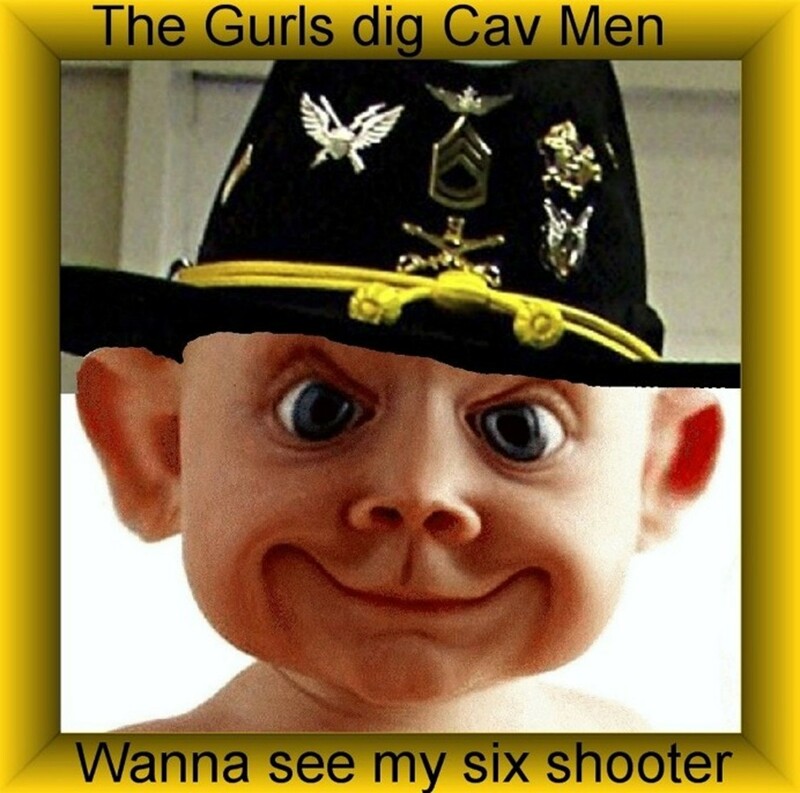 We had Cav Troopers dressed in the uniforms of Old. 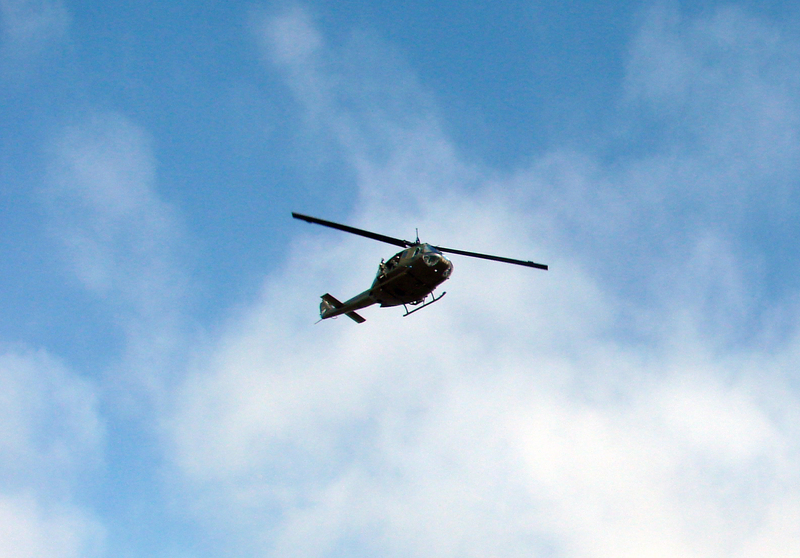 We had a fly over by a Huey which had an M60 mounted and hanging out the side. These Troopers Marched as if they were on Horseback. 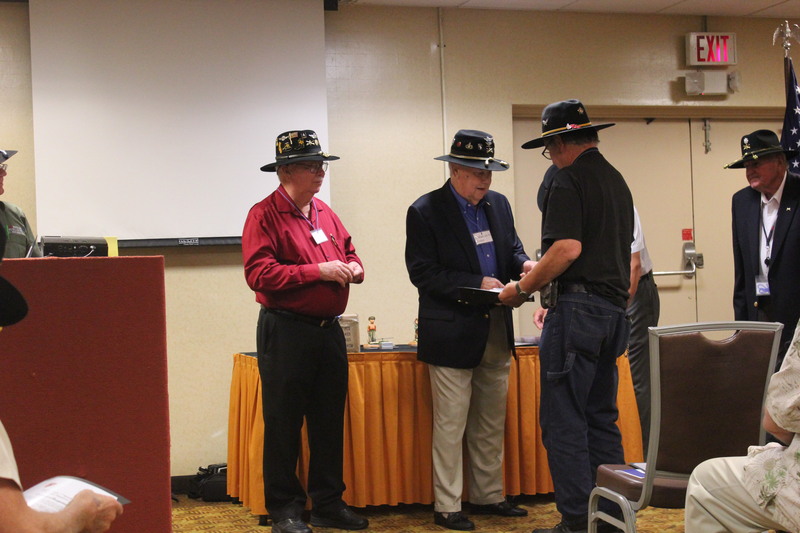 Trooper marched across the stage as if they were horses shuffling their feet. Thanks to Joe Bowen, A Troop, we had a Huey Fly over. We finished off the reunion with a very good dinner and then plenty of time in the Hospitality Room. Most good-byes were said that night. More were said in the morning. Everyone wanted to know when the next one will be. Maybe in 2017. Just to let everyone know. 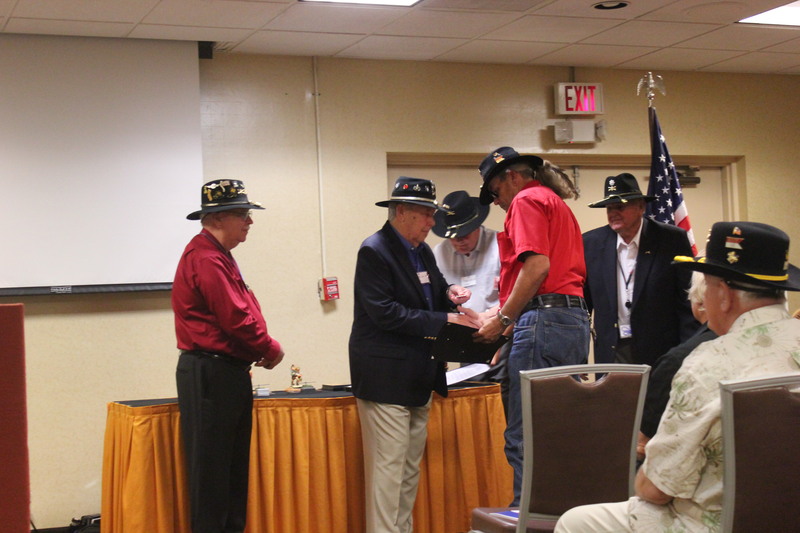 Rank was used at the reunion to honor our men. 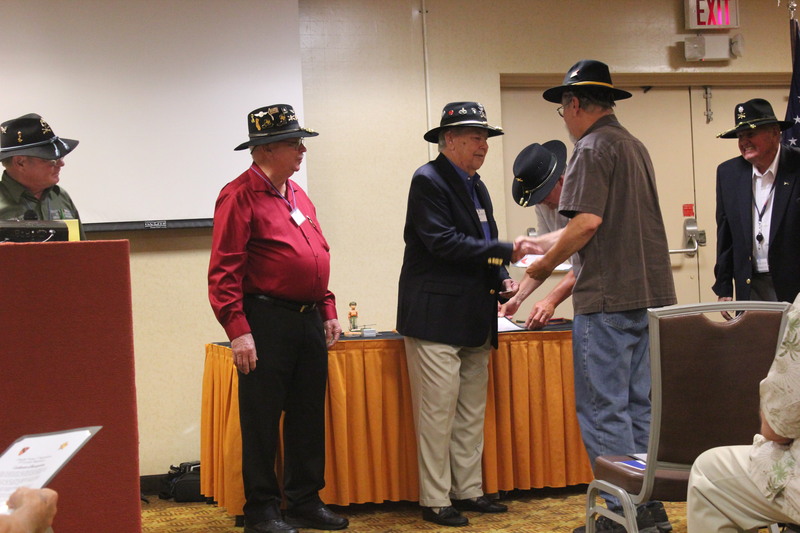 No rank is used at other reunions by anyone. I needed to add one important item. 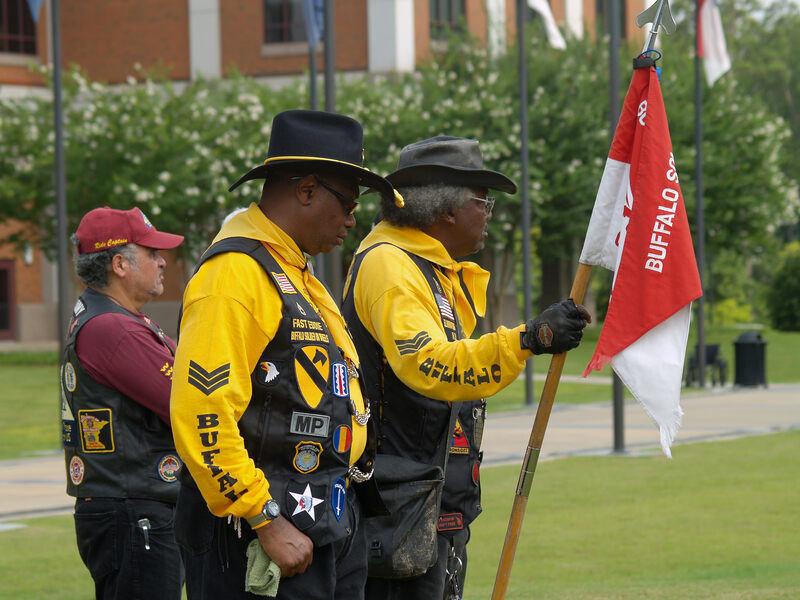 We were very fortunate to have two Buffalo Soldiers from the Columbus area join us. Grady “HD” Snell Jr. is the Founder and CEO. 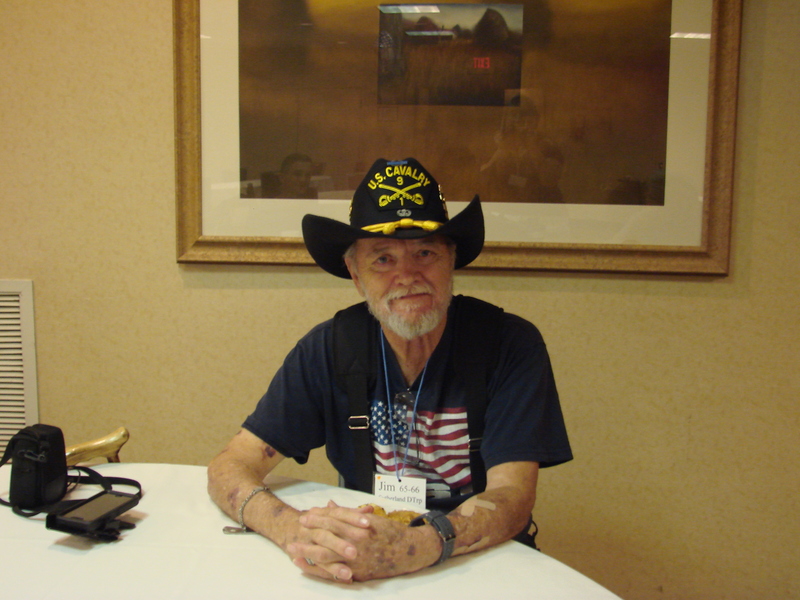 His associate was Edward “Fast Eddie” Walker a member of Alpha Troop 1971.. 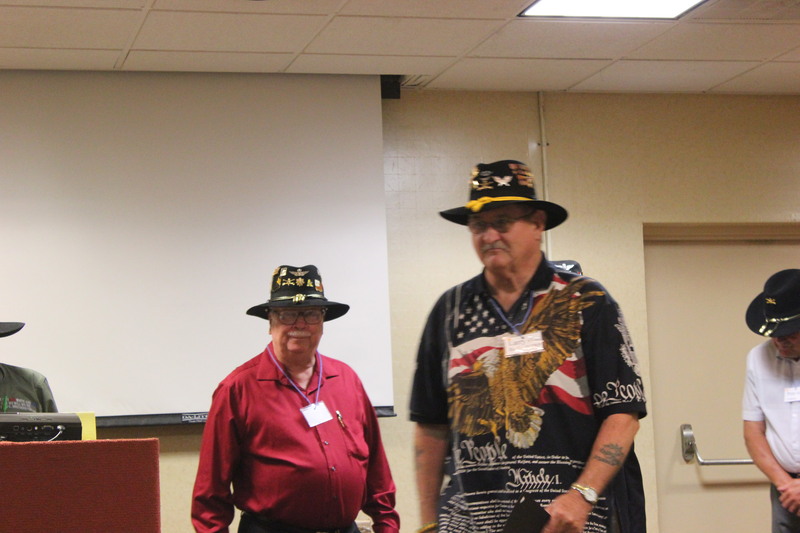 These two men are loaded with knowledge about the Buffalo Soldiers. thank you for all your hard work on putting together this reunion. I am very proud to be a part of such a wonderful family. I wish my father Louis Walton could have been there. He was in spirit. God bless us all. Diane, Your Dad was there in spirit. He was also there in the hearts and minds of his Brothers. WOW you did a great job!!!! Kurt, Thank you. 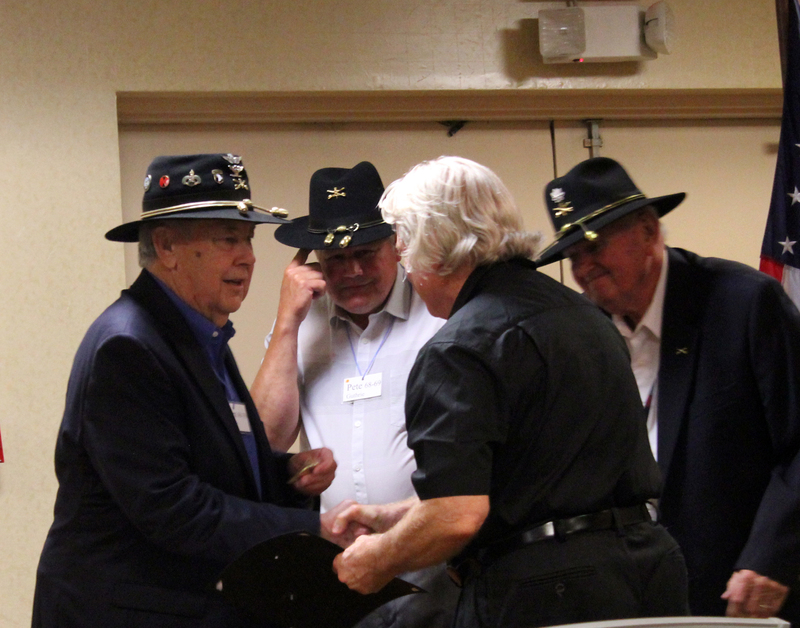 The reunion was only a success because of the men who came. 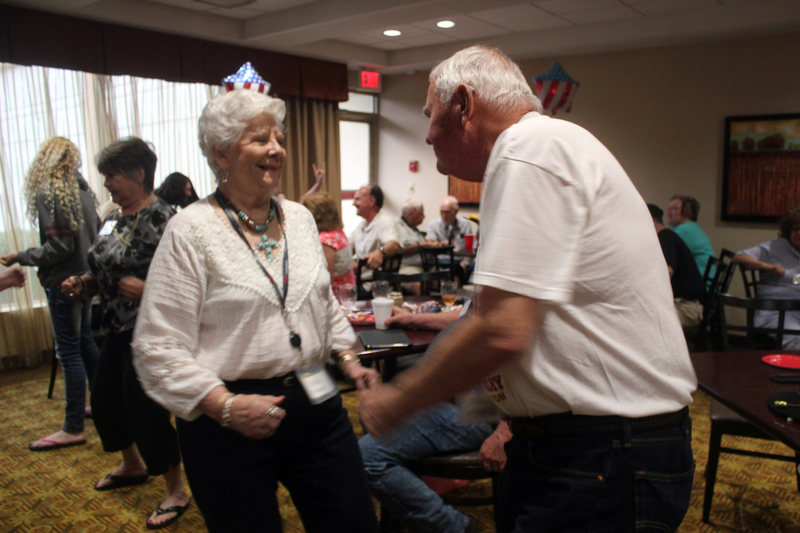 There was a lot of catching up to be done after not seeing each other in 49 years. It appears you had an enjoyable trip hanging out with the troops from Charlie Troop, 1st of the 9th down there in rebel country, good for you. Every year the ranks get thinner and thinner and thats sad but its a good feeling to get together every once in awhile just to bond with the troops. George, It was more than enjoyable. We had an excellent reunion and all of the ceremonies went extremely well. 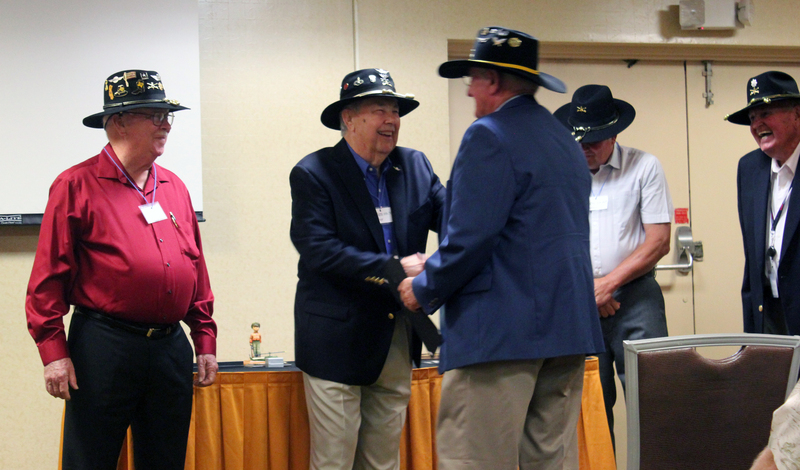 There were a lot of our 65 Troopers that hadn’t seen each other in 49 years. They had a great time catching up and swapped info so they can now stay in touch.